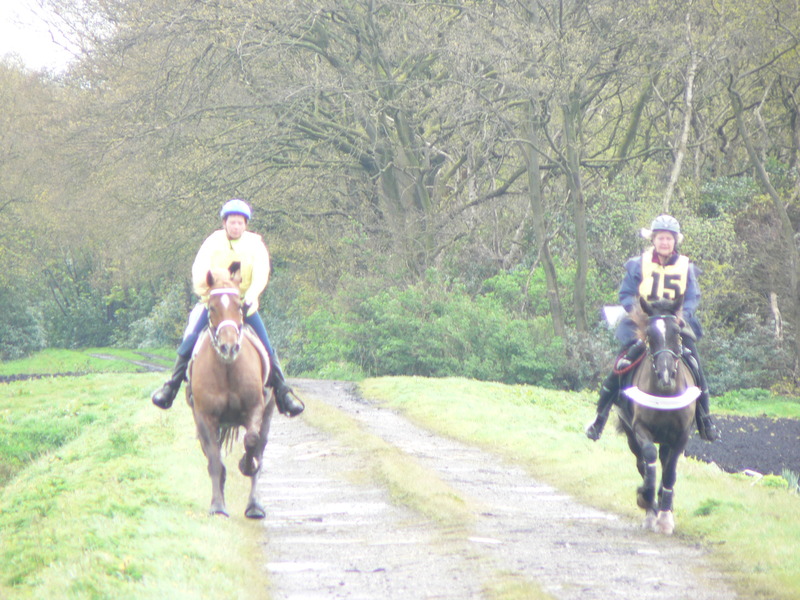 Well all went well today, after spending two hours marking the course yesterday the rain washed it all away, so out early this morning to remark. 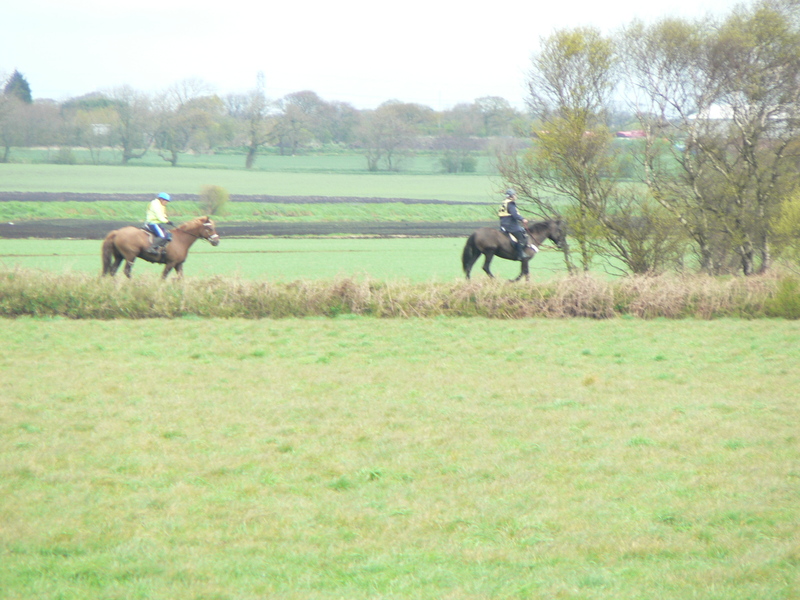 Hope everyone enjoyed the ride and the gentleman who went down the banking enjoyed his extra bit. 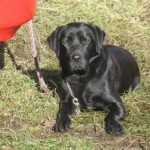 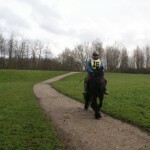 A word of praise for number 18 who fell off on the riverbank hope your not to sore tonight. 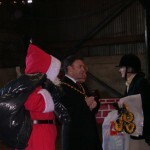 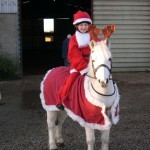 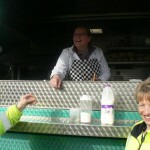 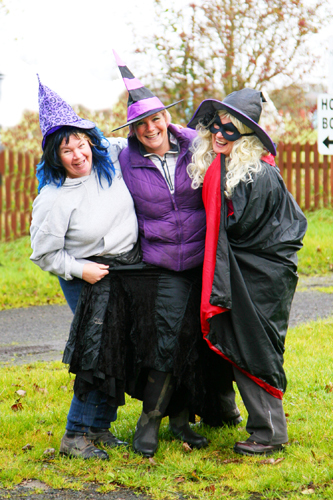 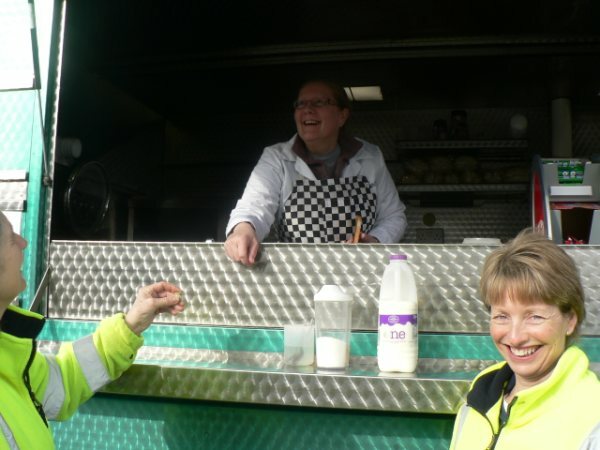 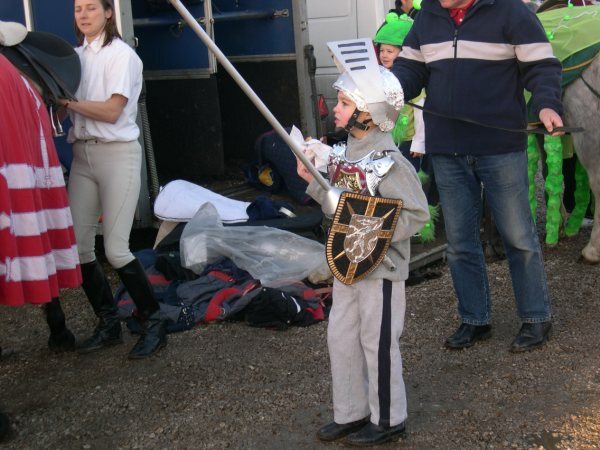 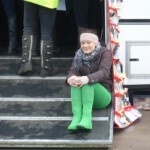 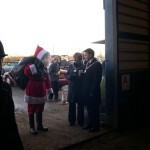 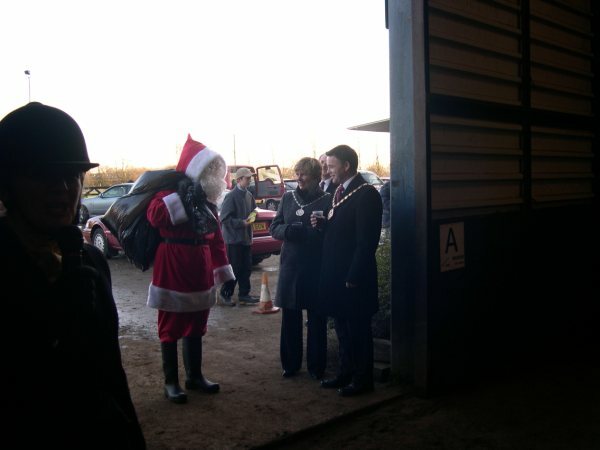 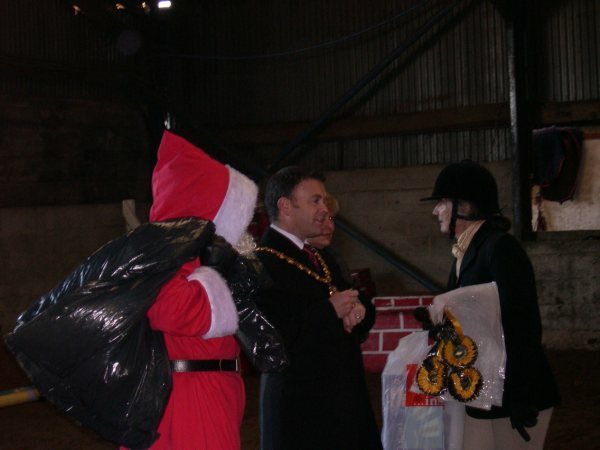 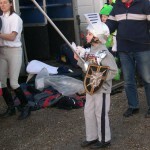 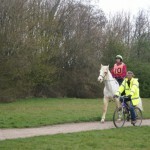 A great thanks to all who rode and a thanks to the helpers who we couldn’t run the rides without. 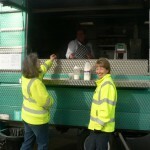 Oh yes Pam’s Pea and Ham soup was delicious thanks Pam. 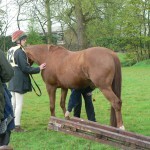 http://www.whatapicture.biz/. 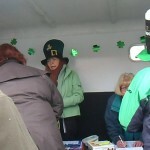 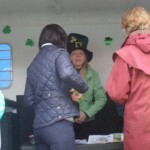 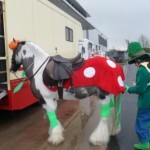 The sun shone, and we had a great turn out, a massive thank you to all who supported us and especially to the efforts made to dress up, it would be lovely to give everyone a price but sadly there has to be one winner. 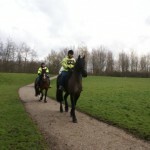 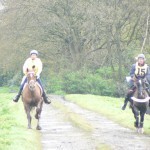 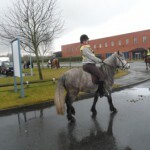 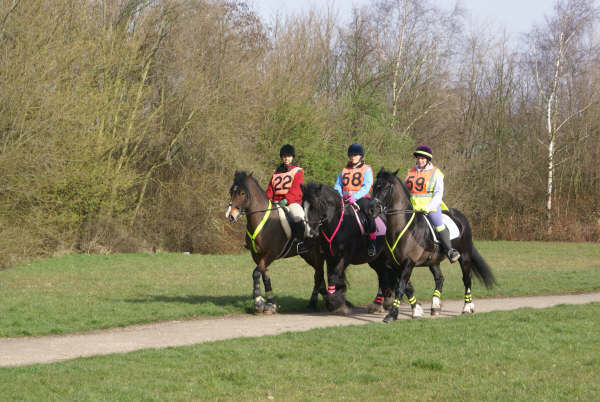 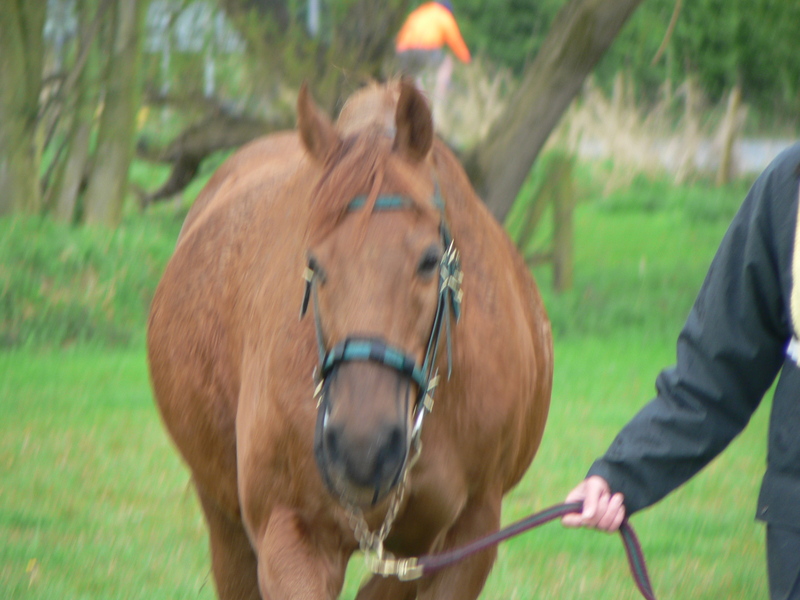 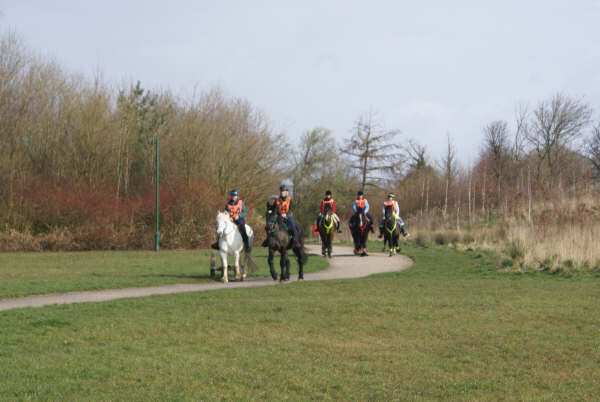 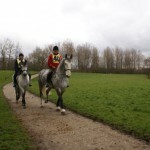 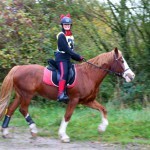 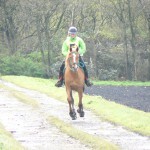 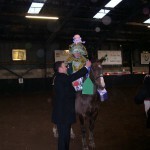 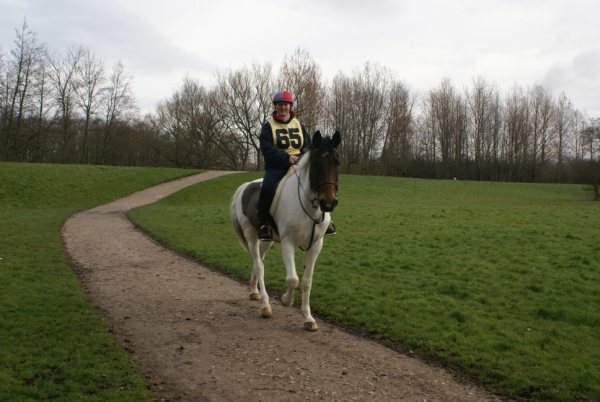 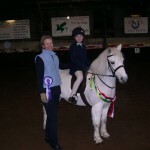 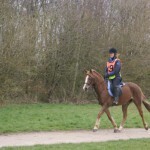 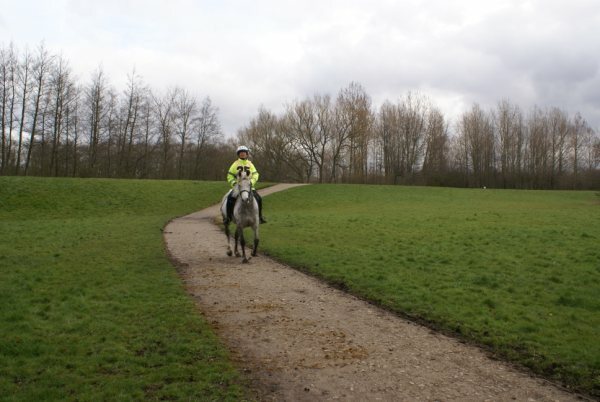 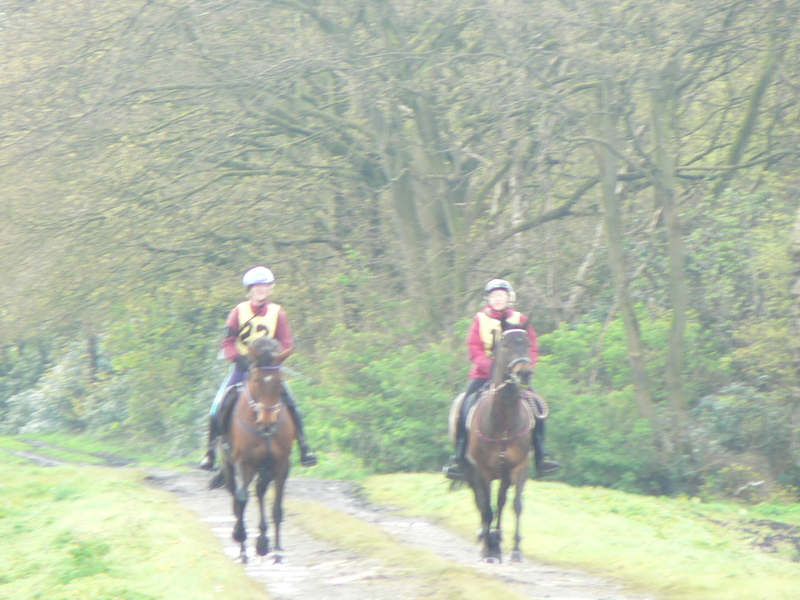 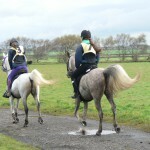 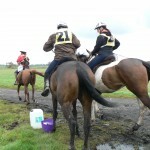 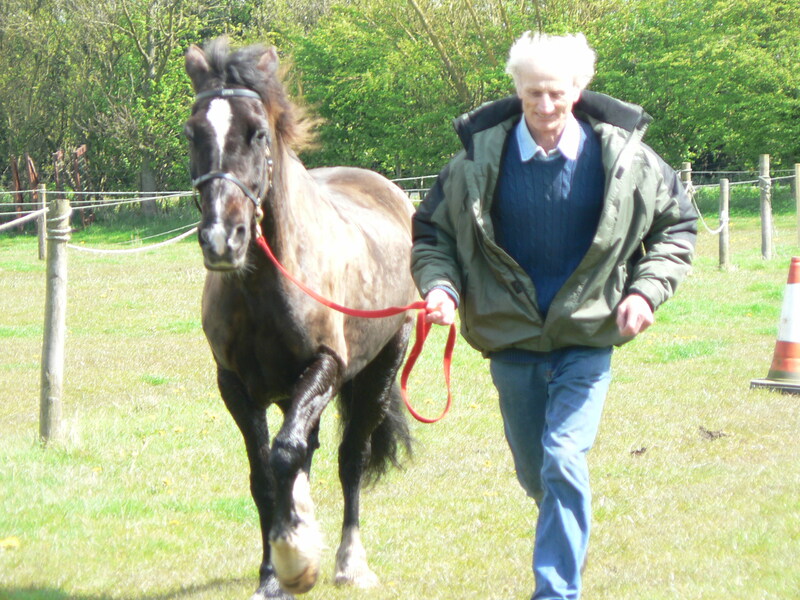 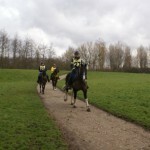 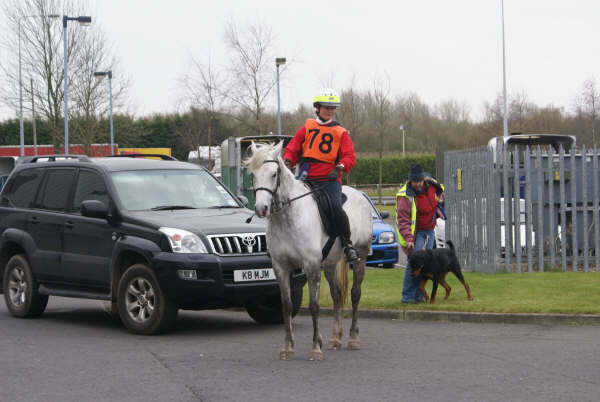 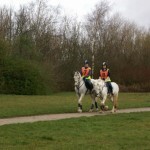 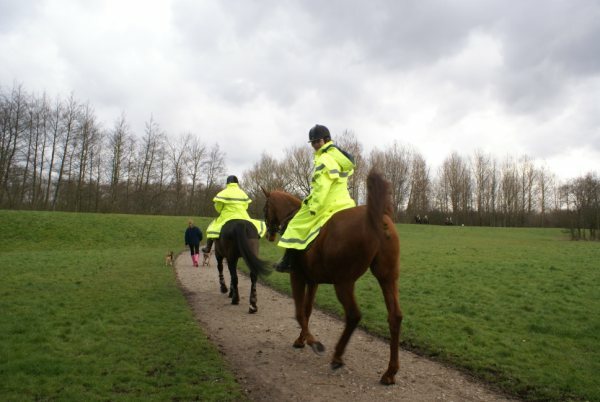 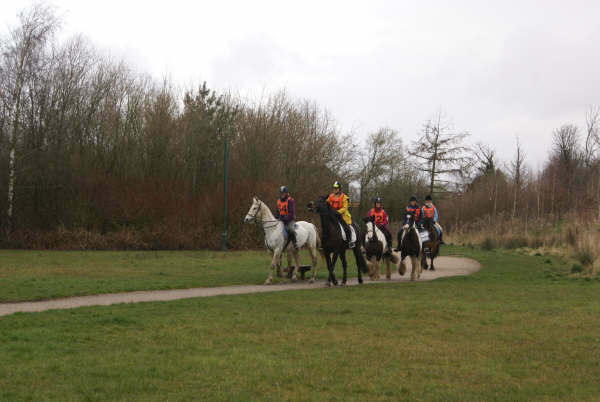 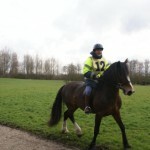 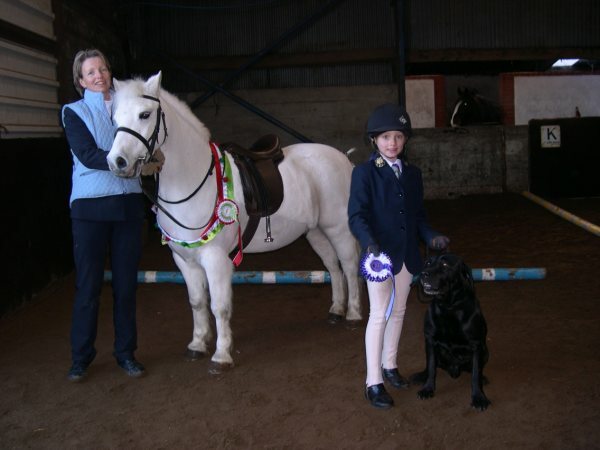 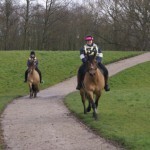 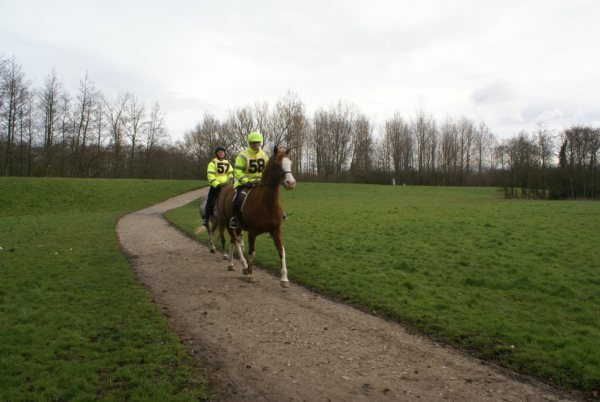 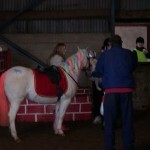 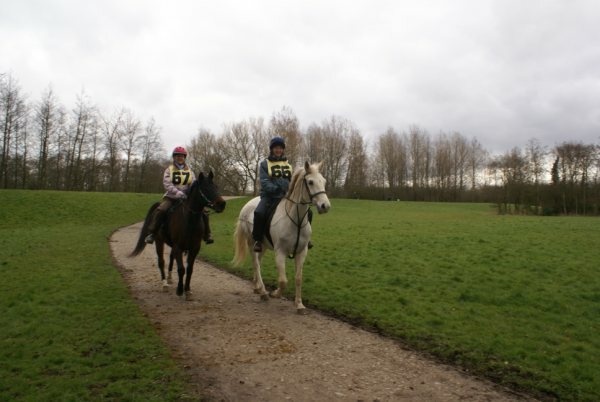 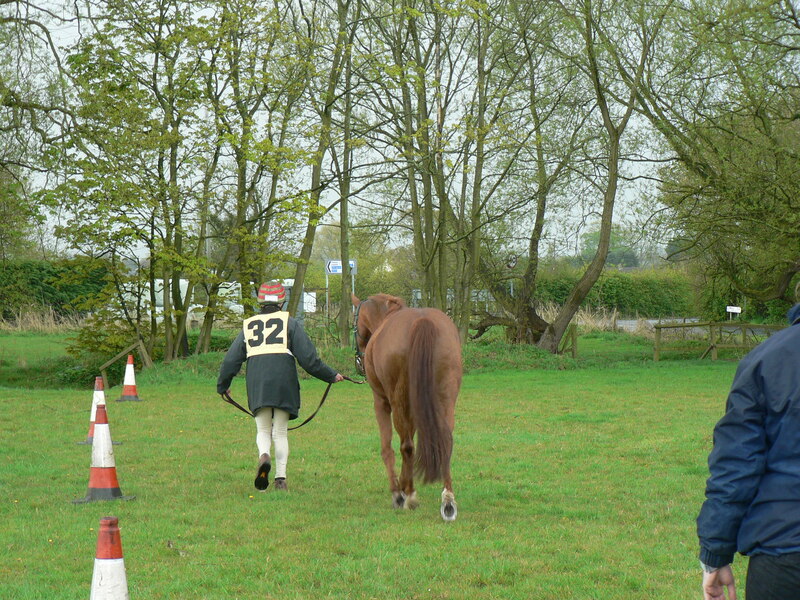 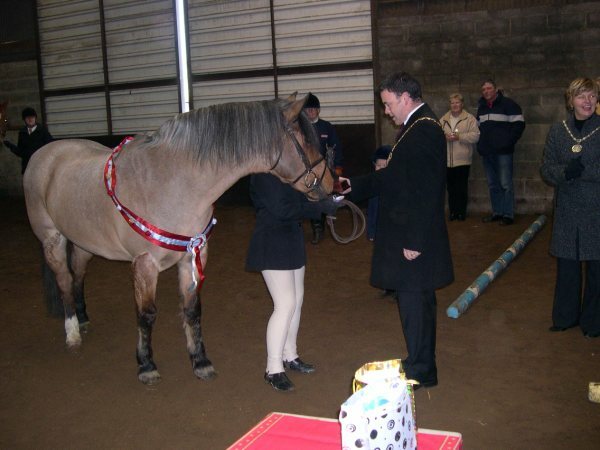 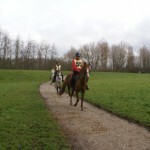 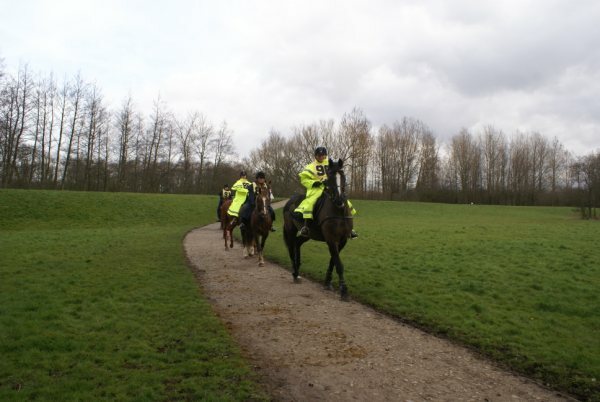 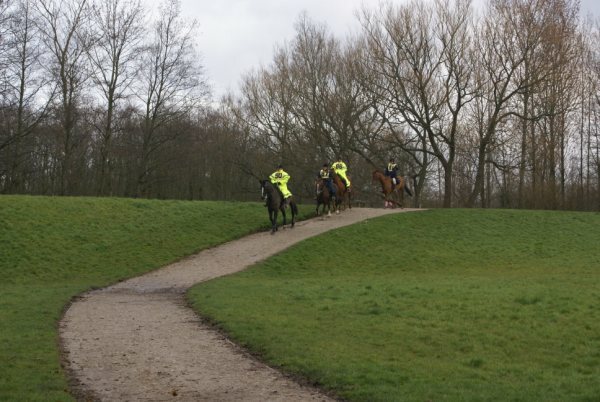 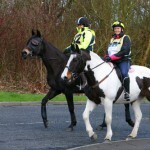 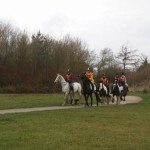 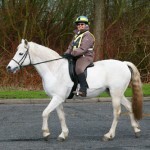 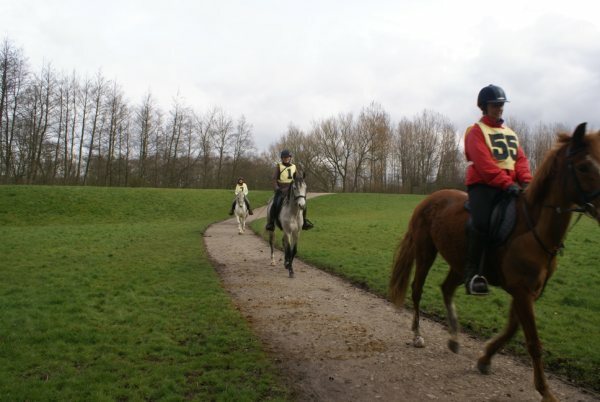 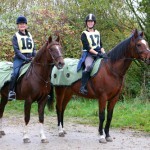 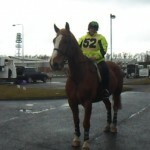 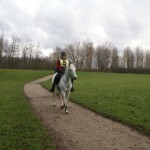 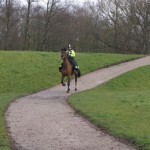 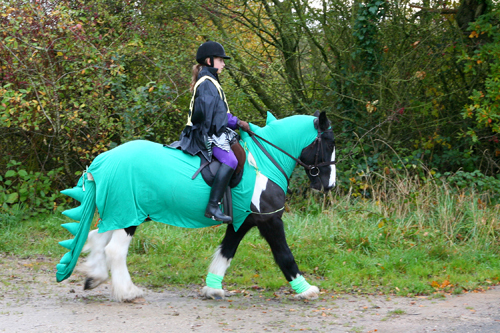 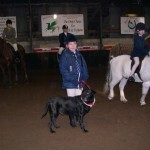 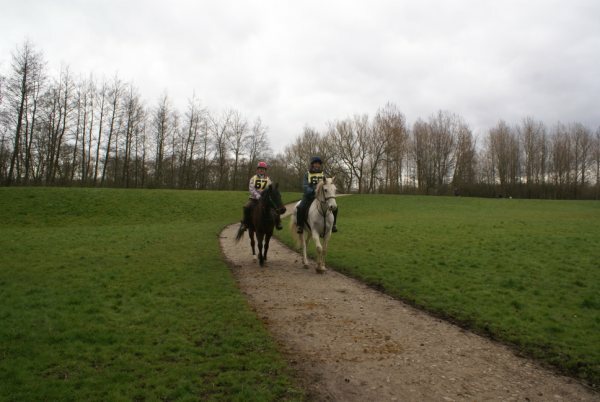 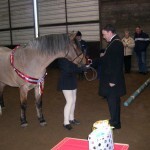 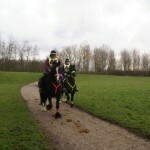 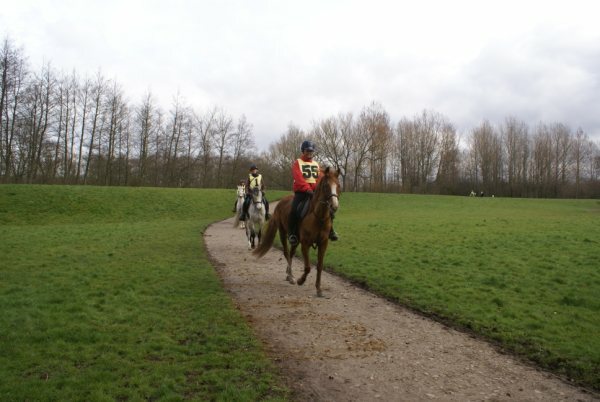 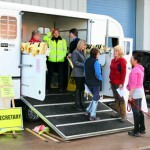 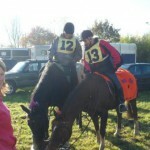 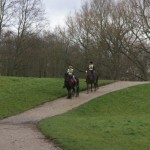 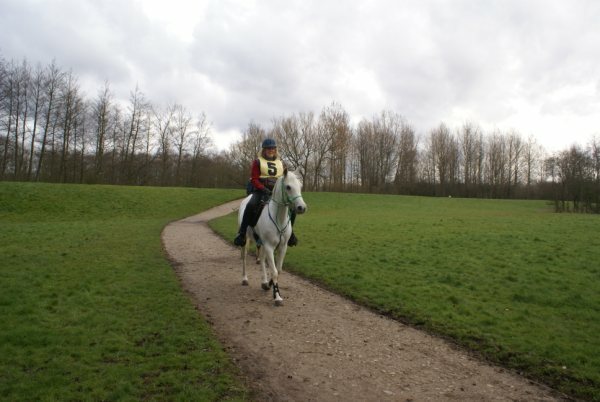 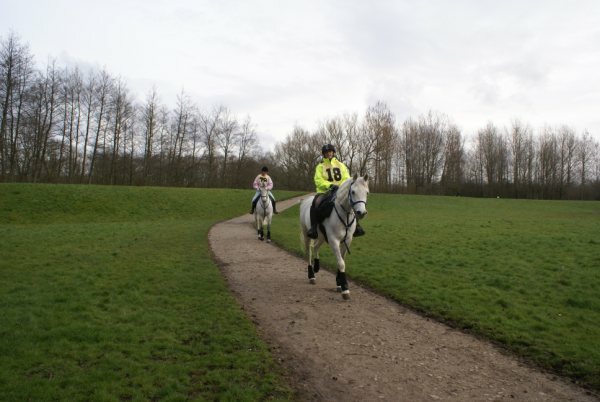 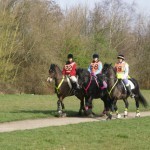 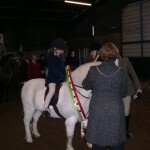 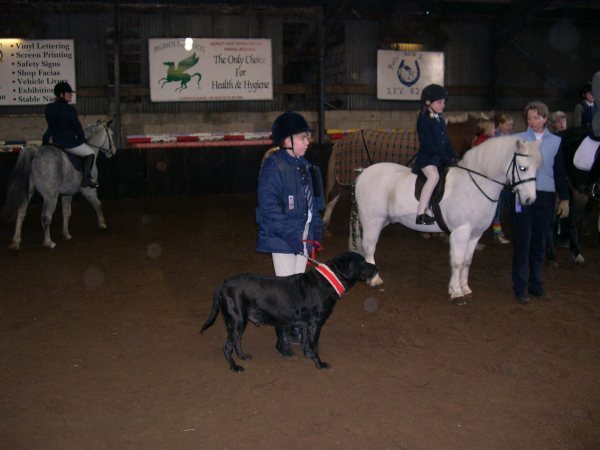 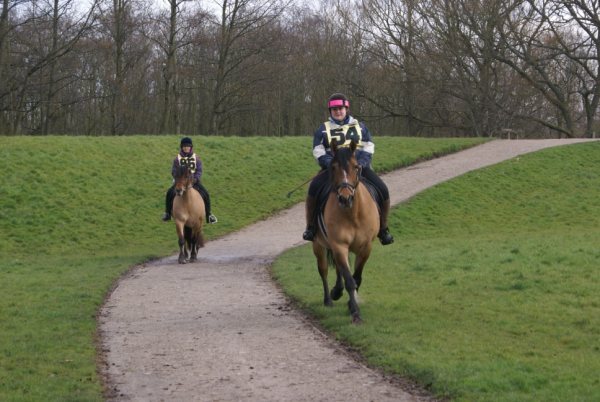 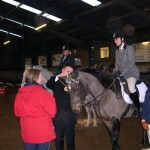 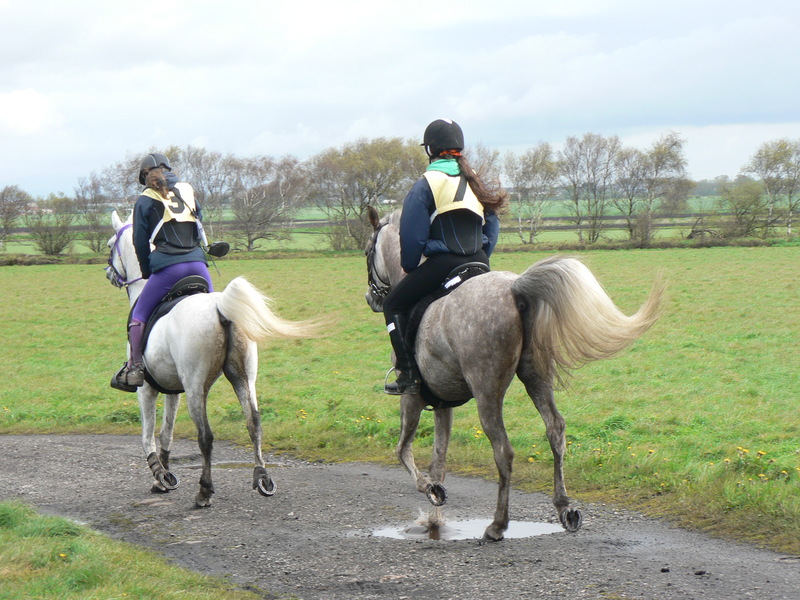 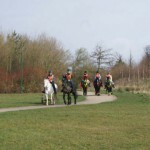 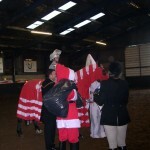 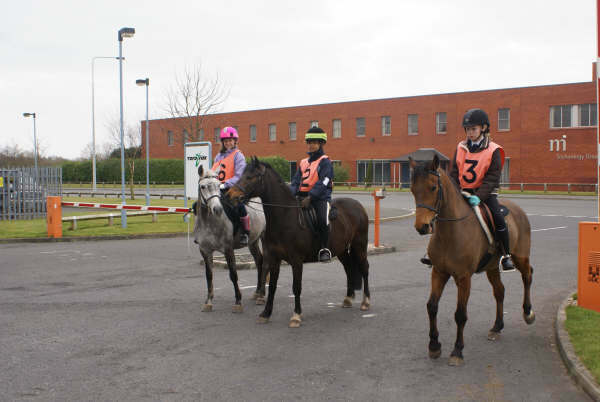 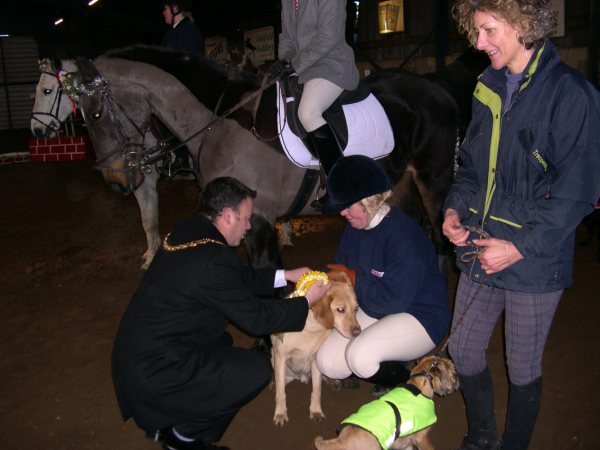 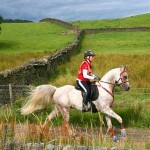 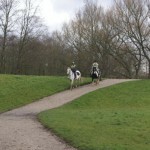 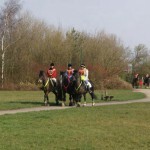 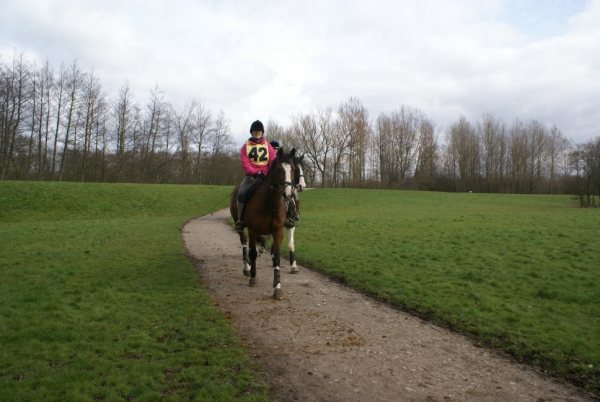 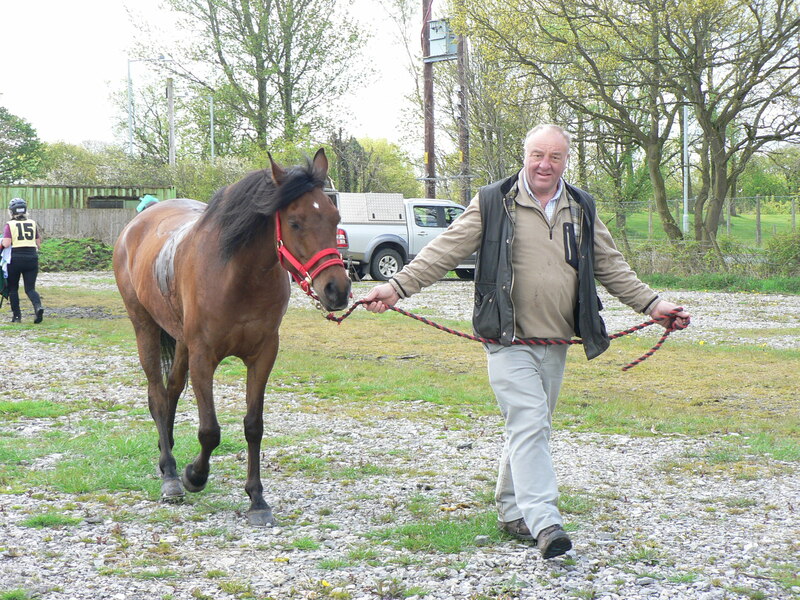 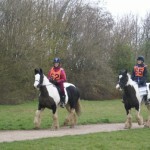 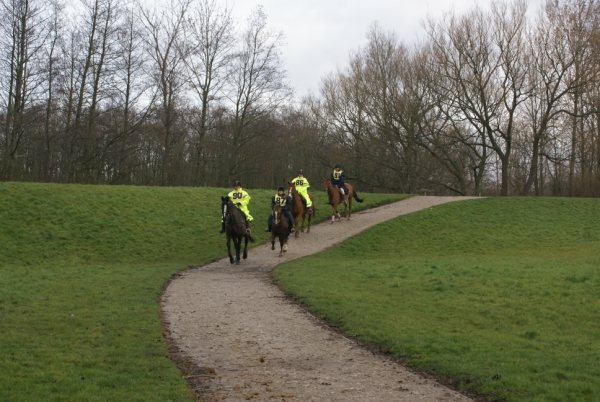 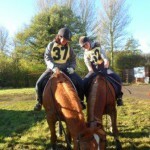 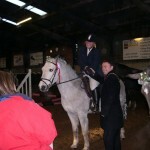 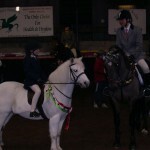 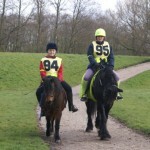 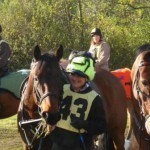 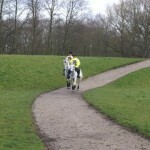 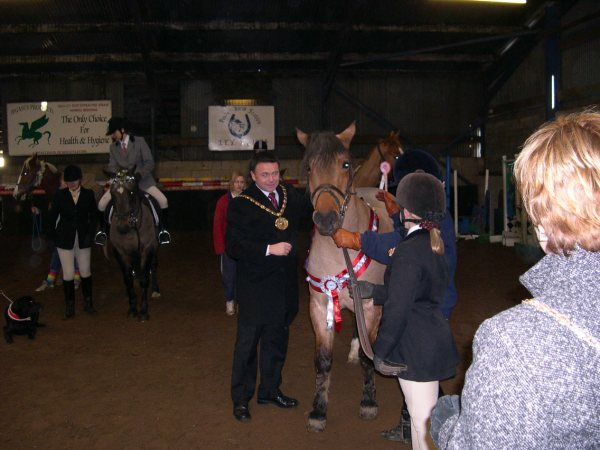 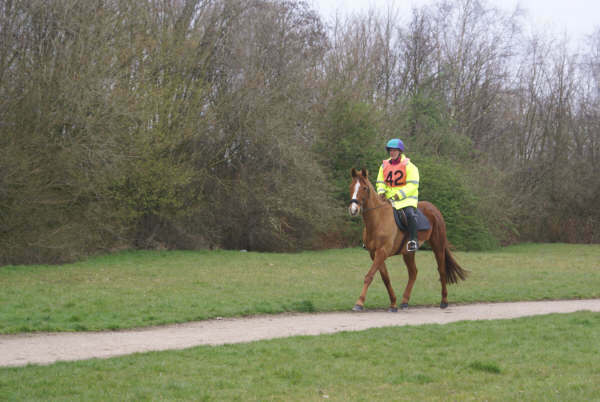 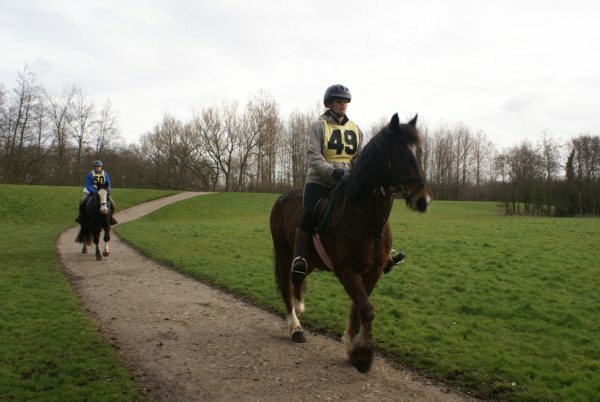 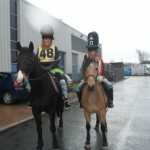 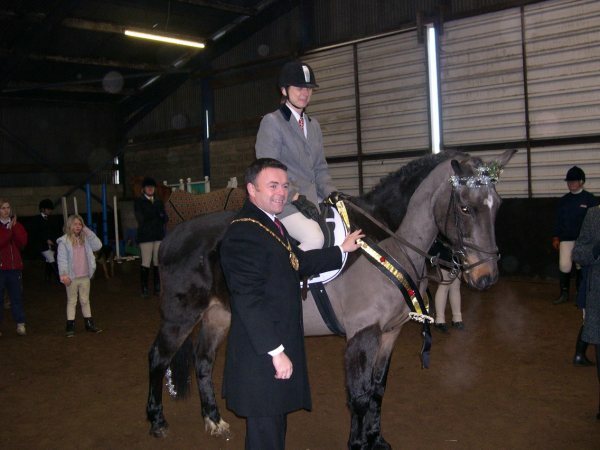 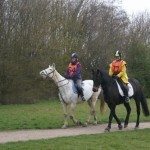 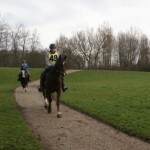 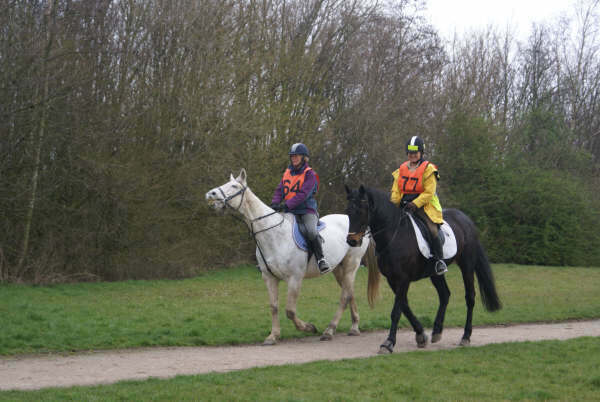 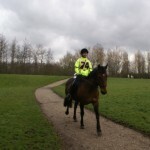 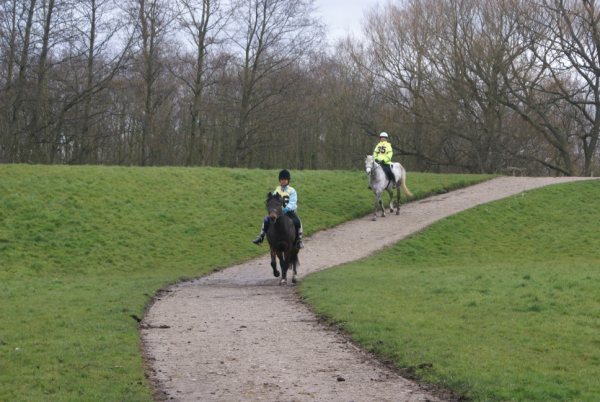 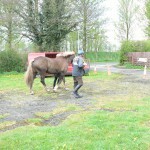 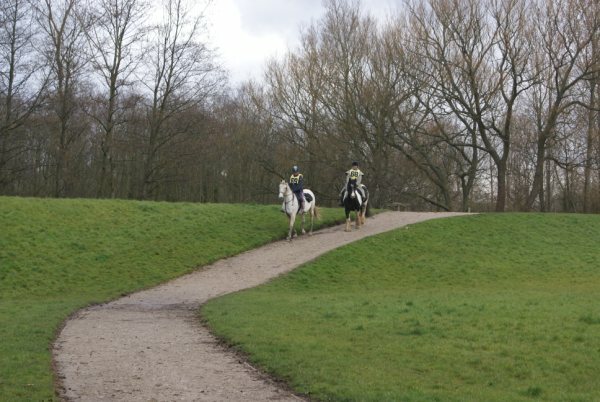 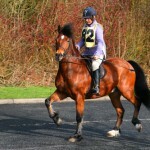 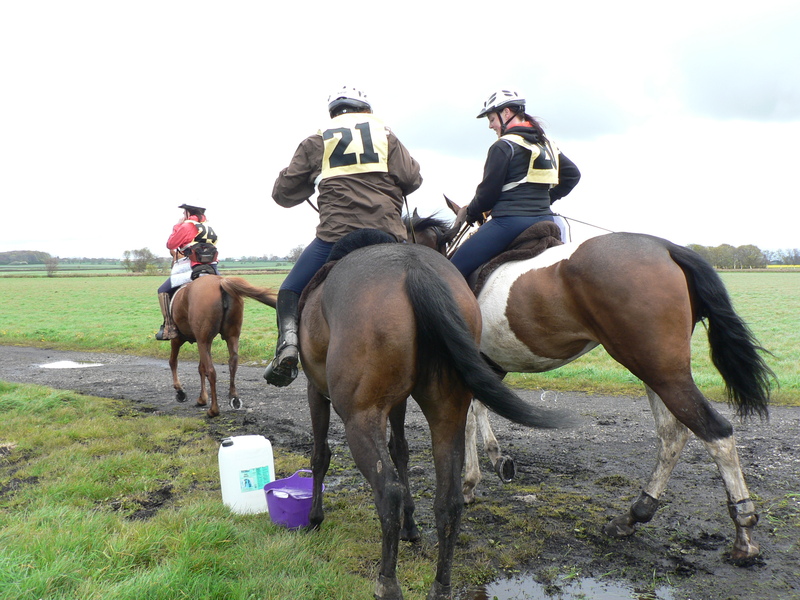 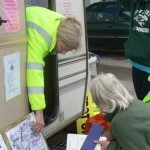 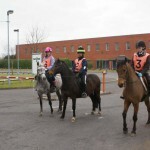 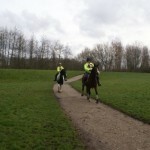 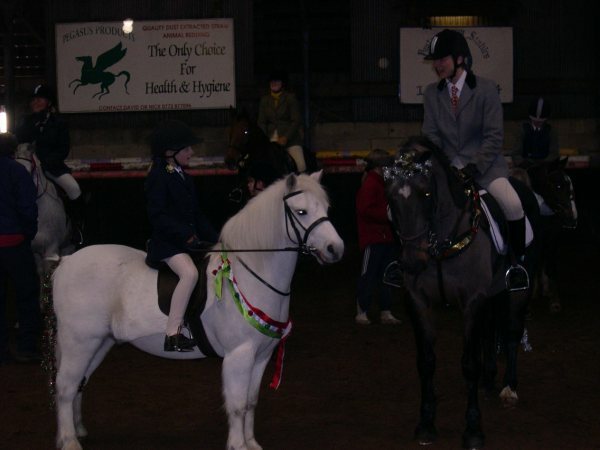 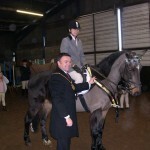 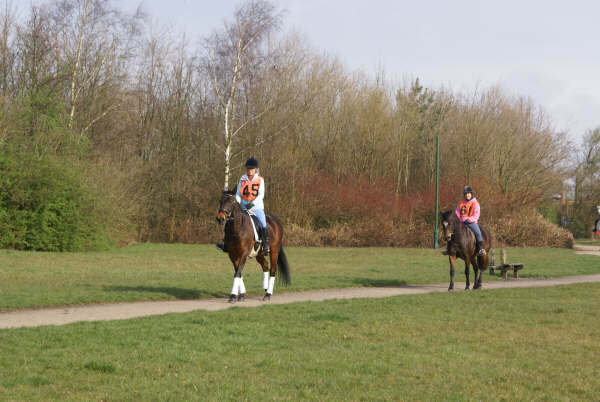 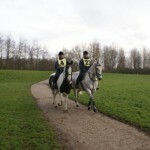 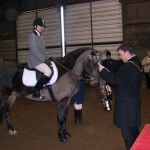 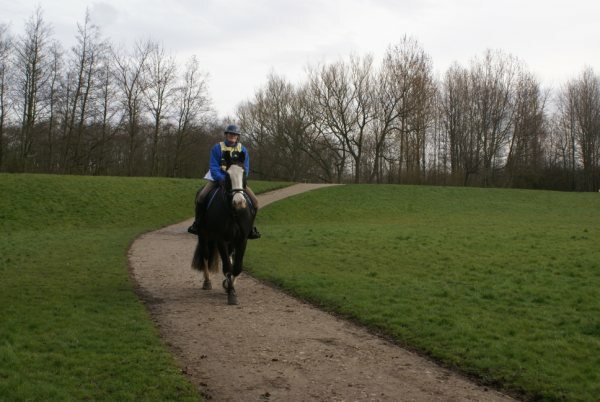 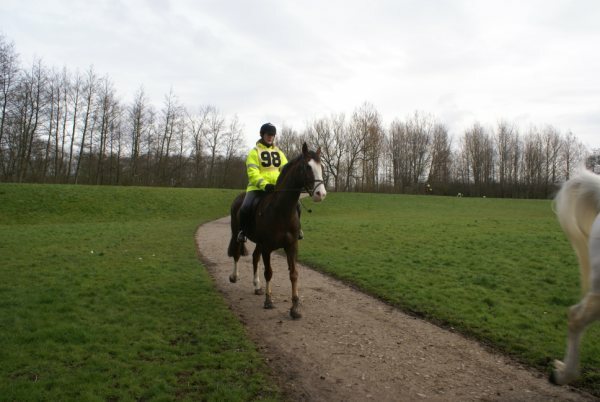 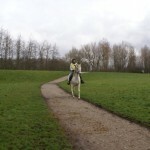 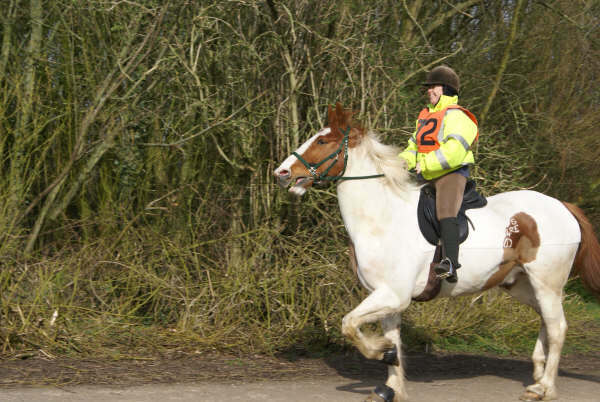 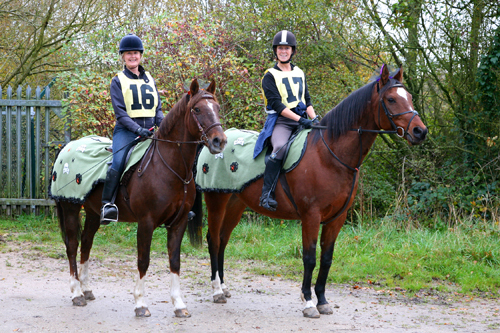 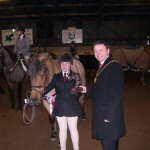 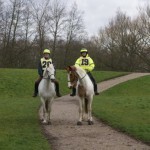 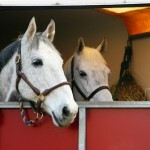 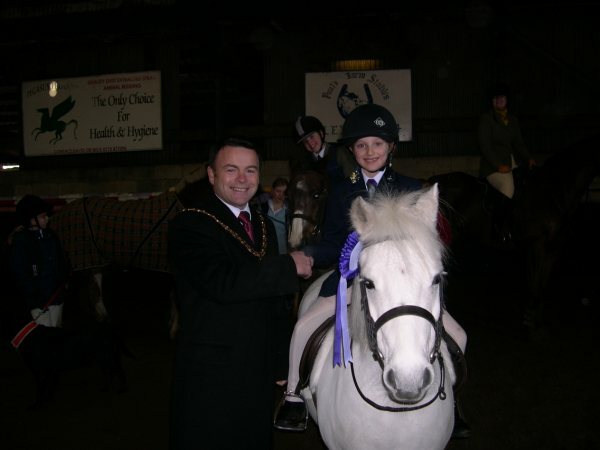 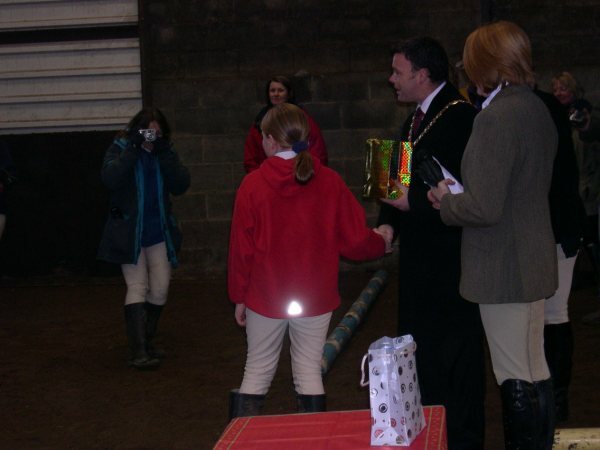 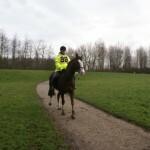 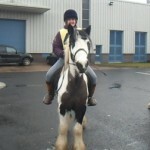 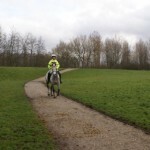 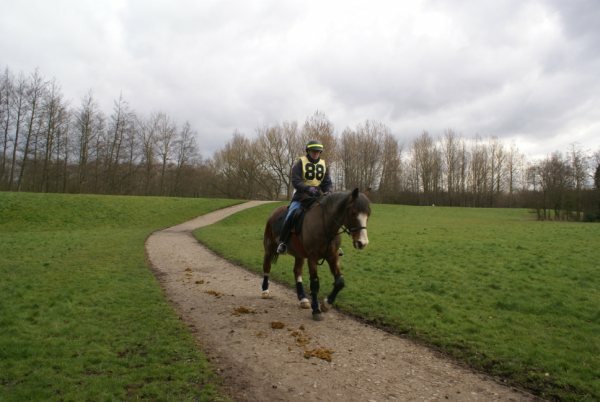 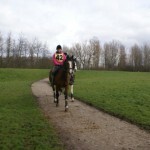 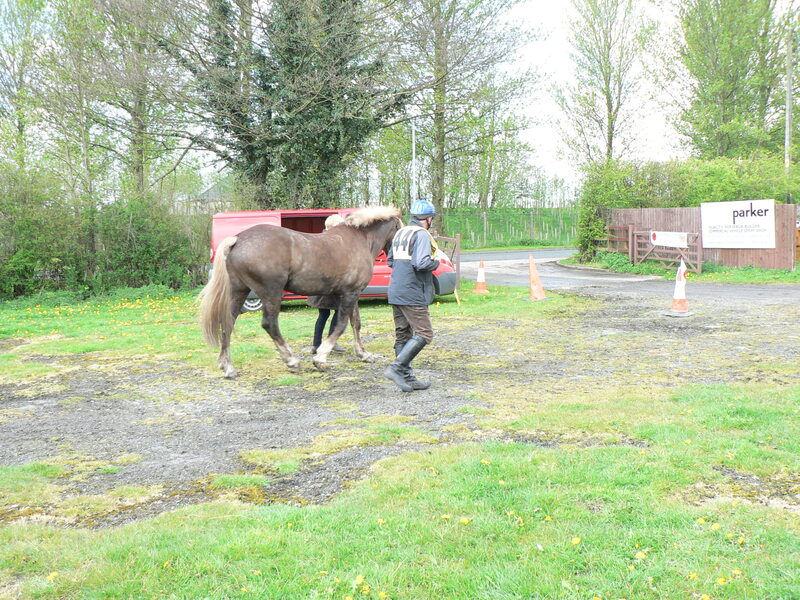 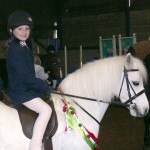 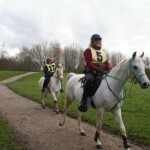 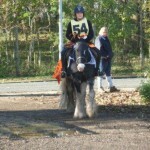 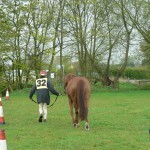 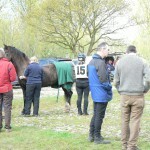 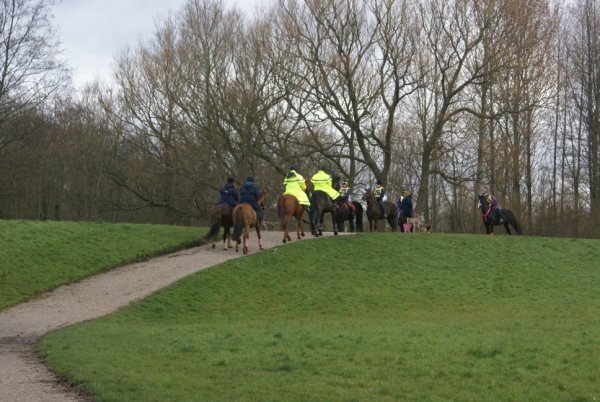 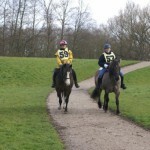 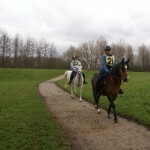 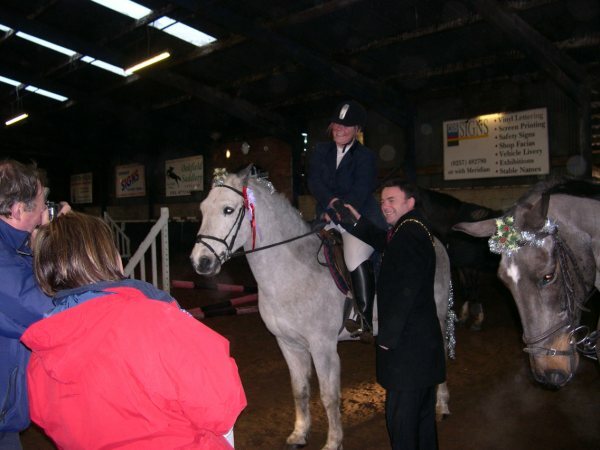 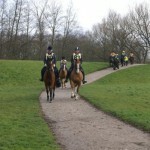 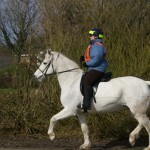 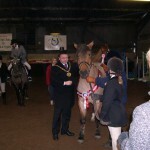 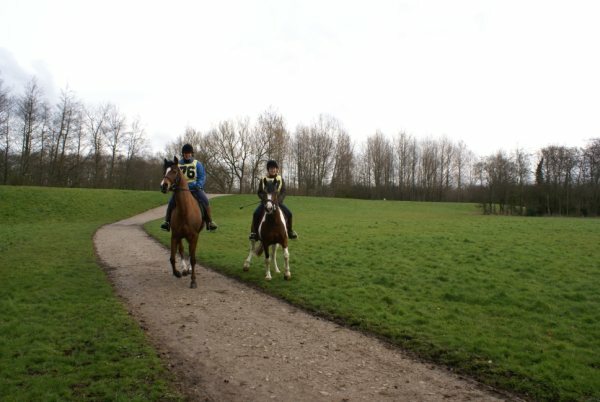 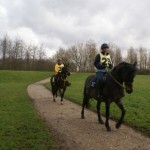 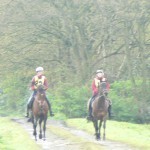 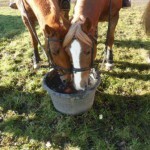 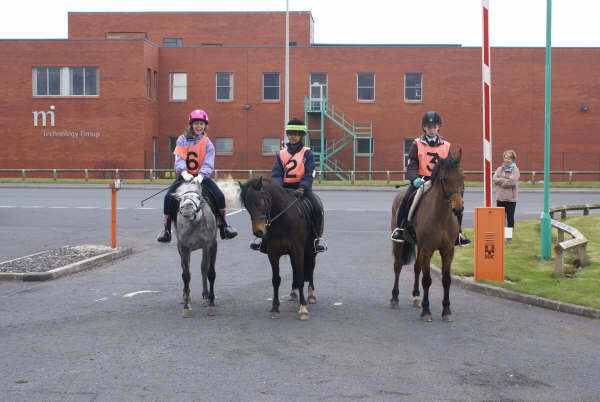 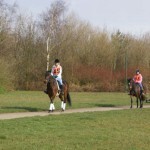 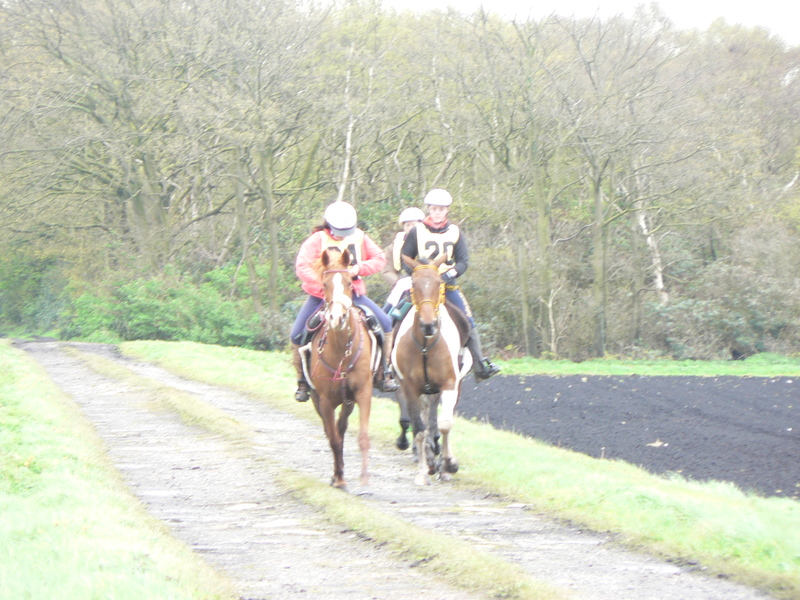 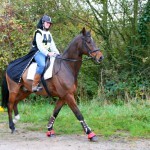 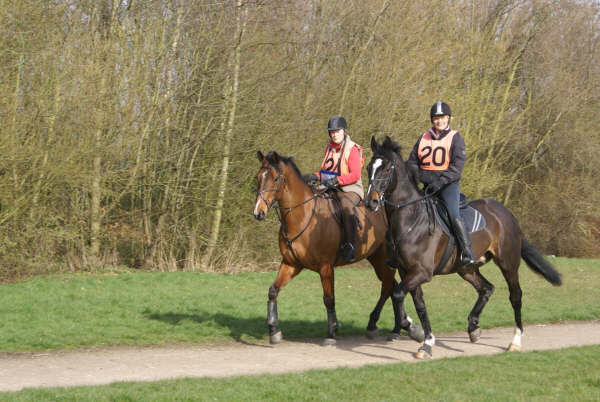 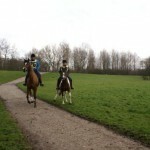 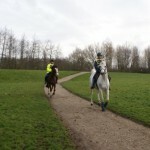 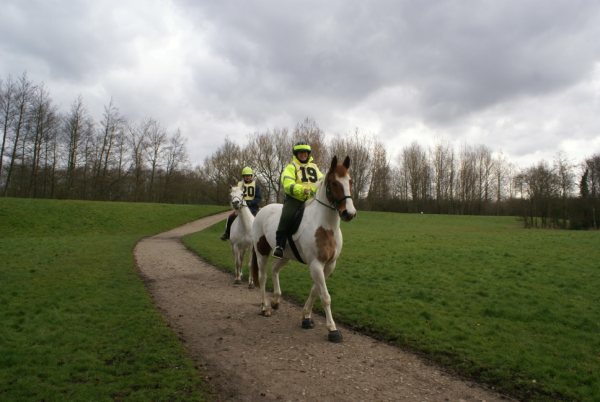 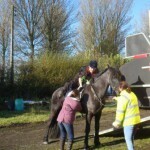 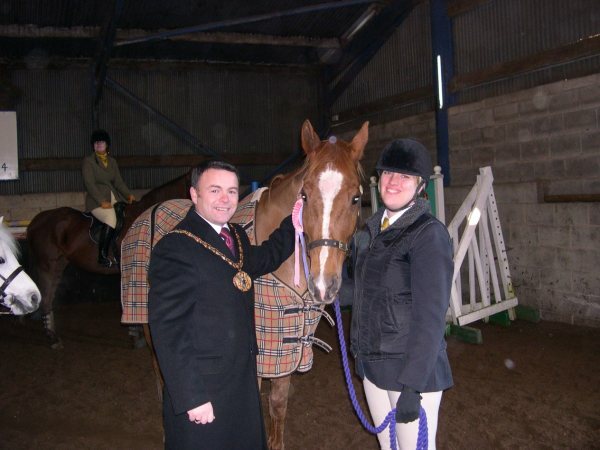 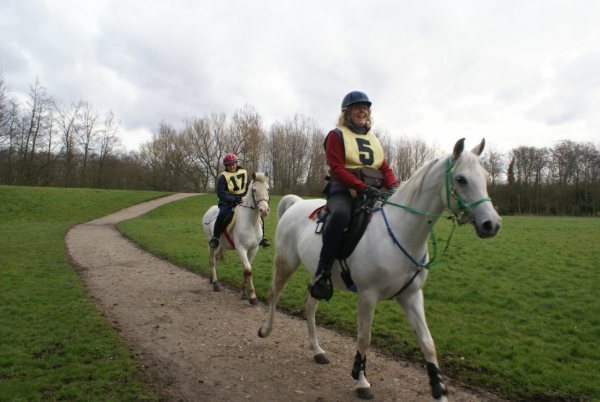 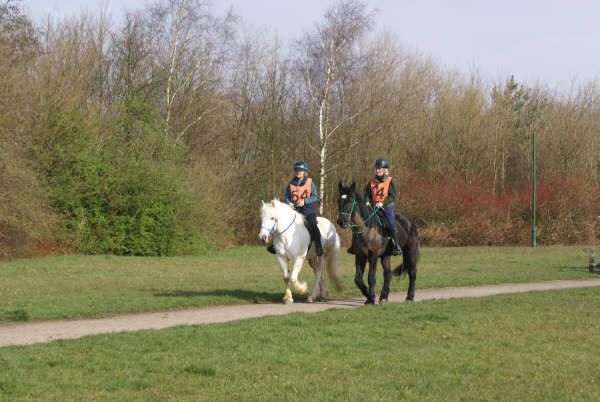 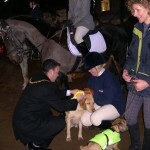 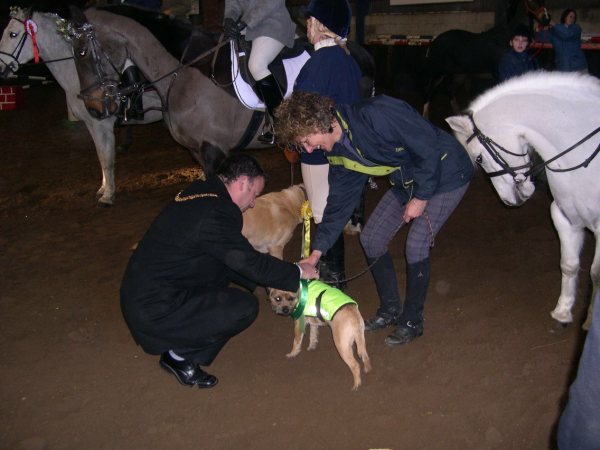 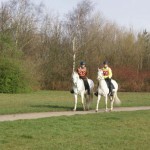 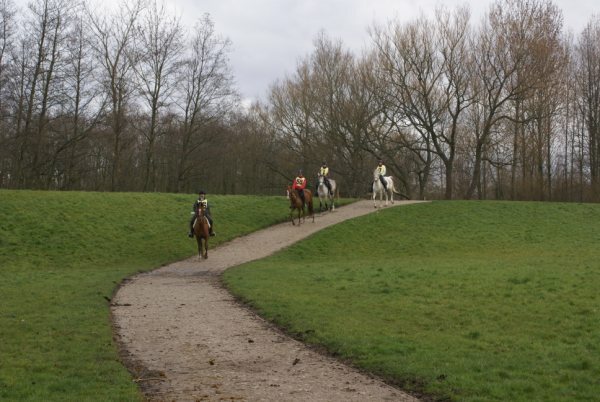 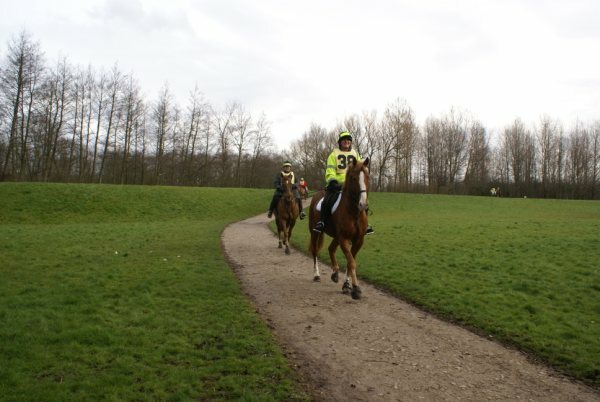 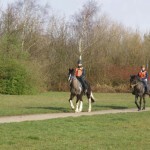 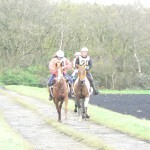 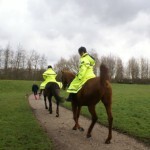 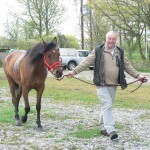 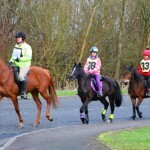 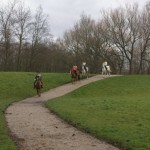 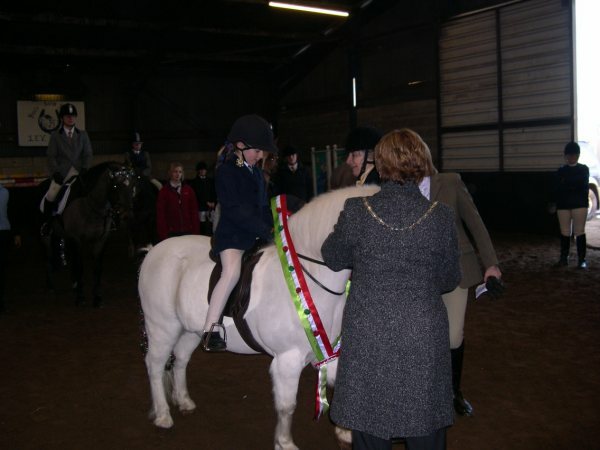 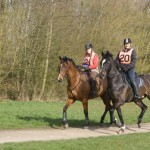 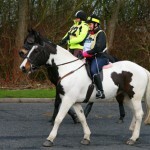 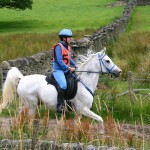 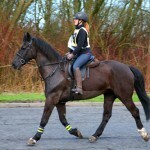 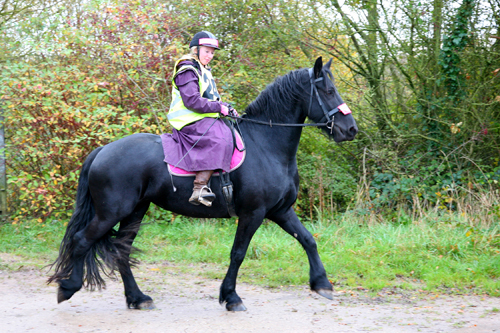 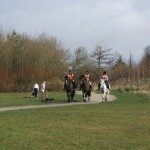 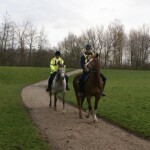 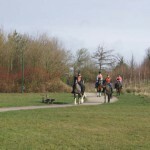 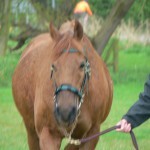 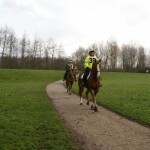 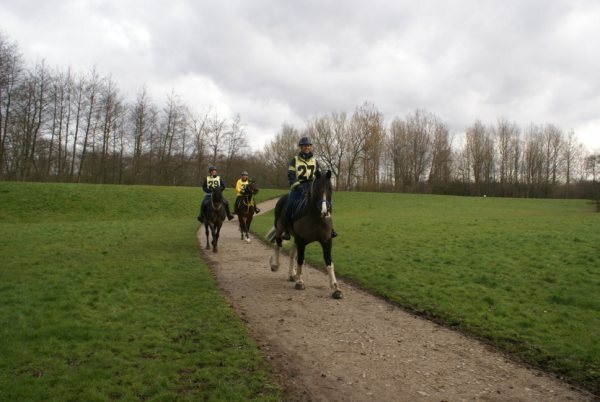 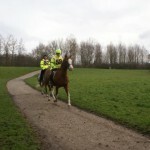 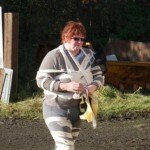 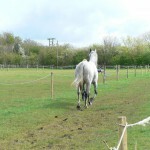 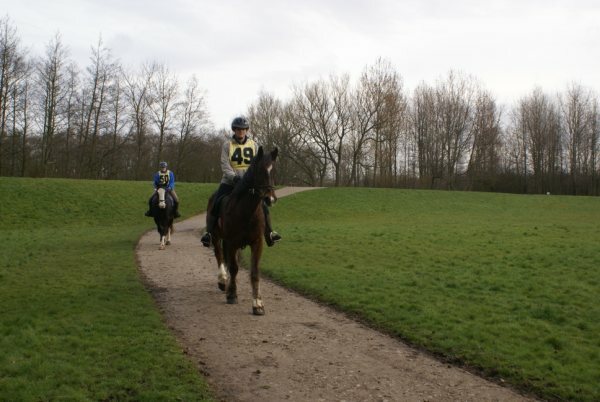 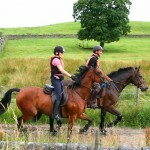 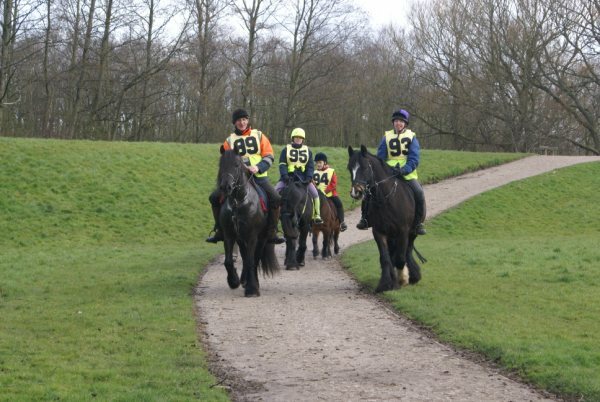 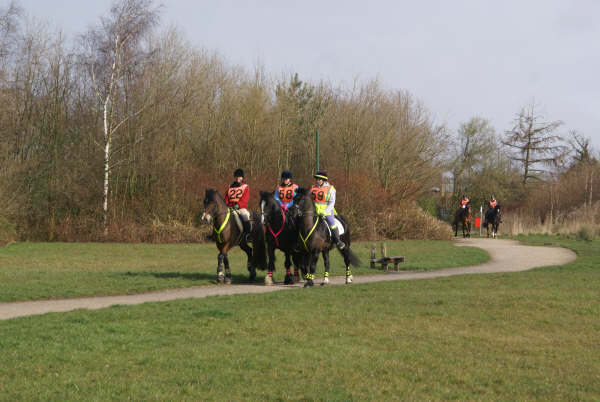 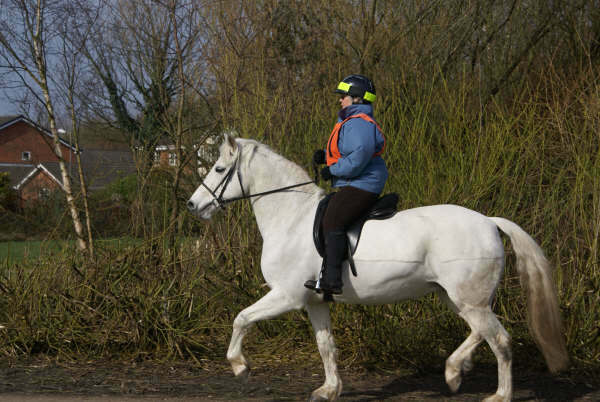 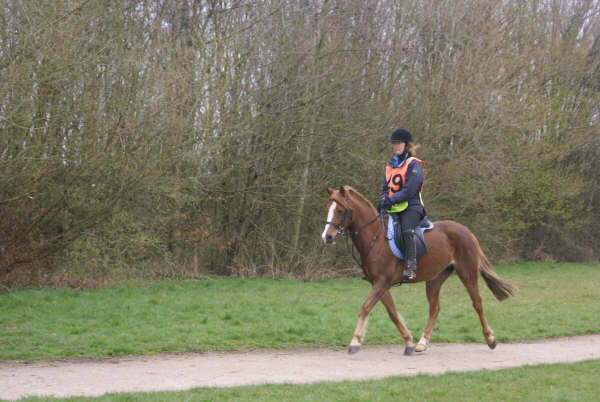 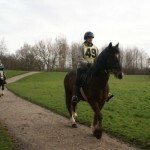 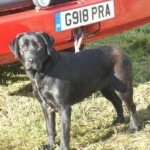 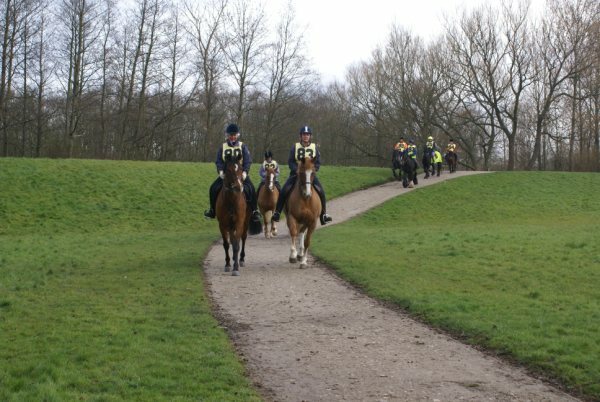 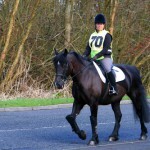 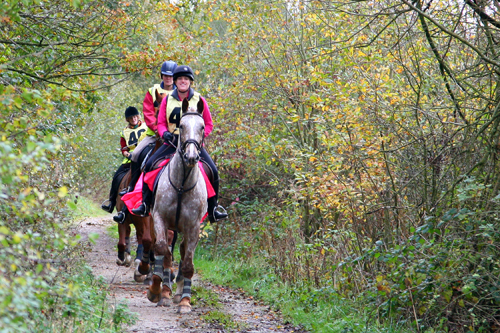 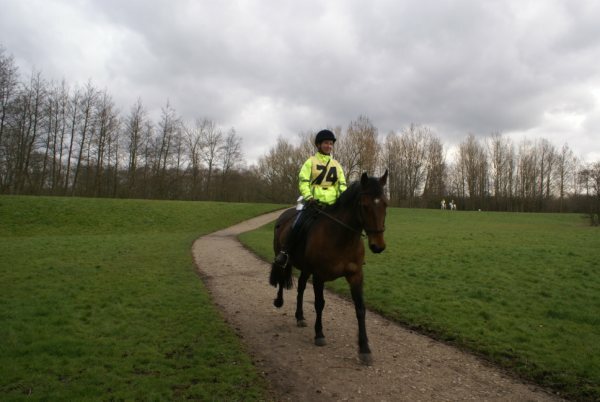 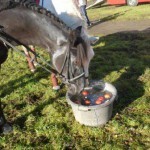 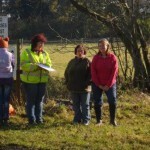 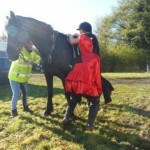 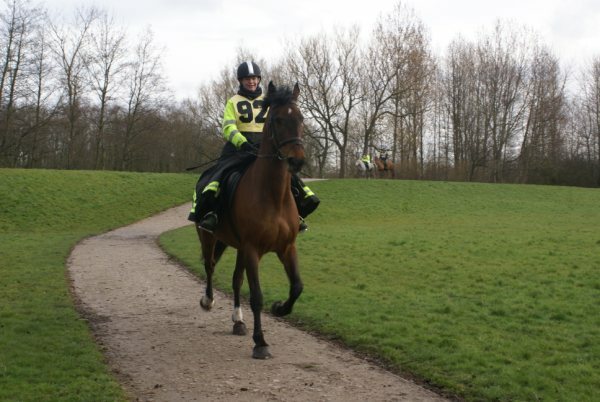 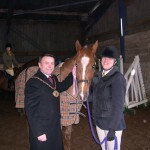 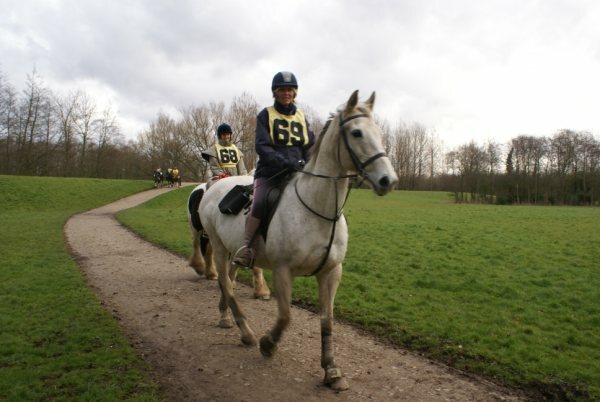 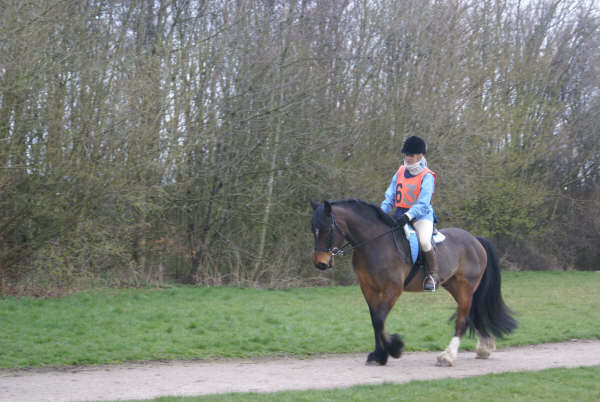 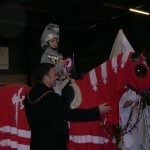 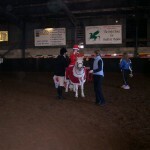 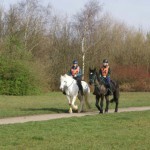 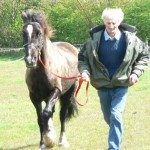 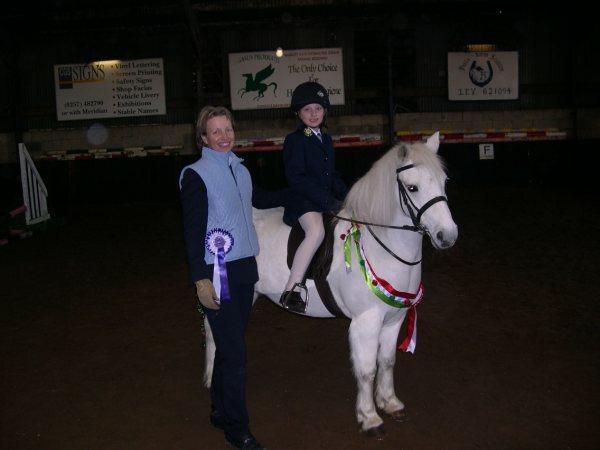 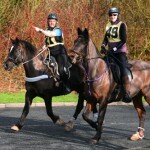 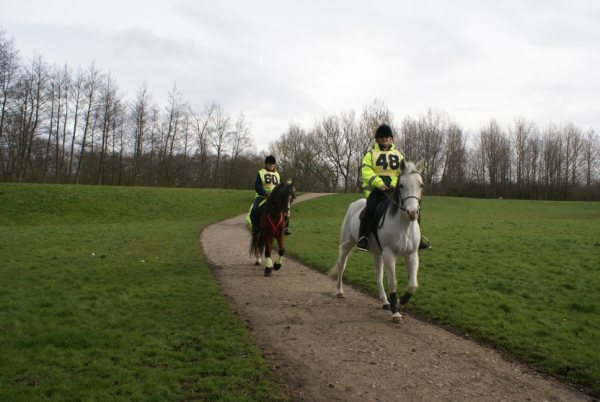 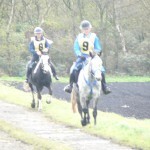 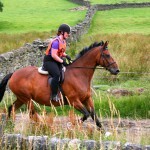 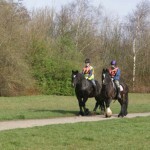 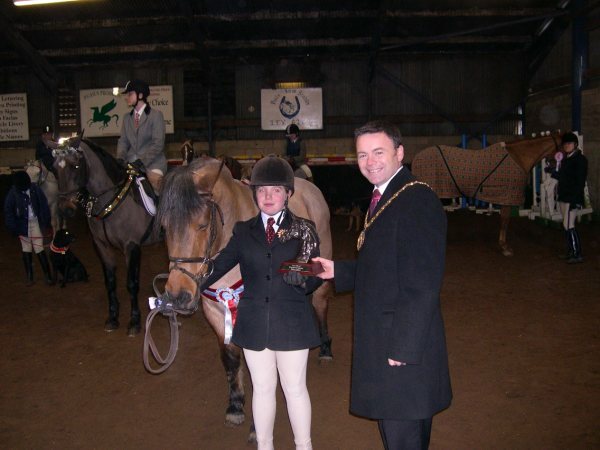 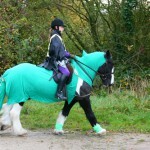 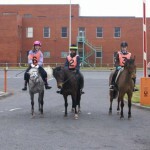 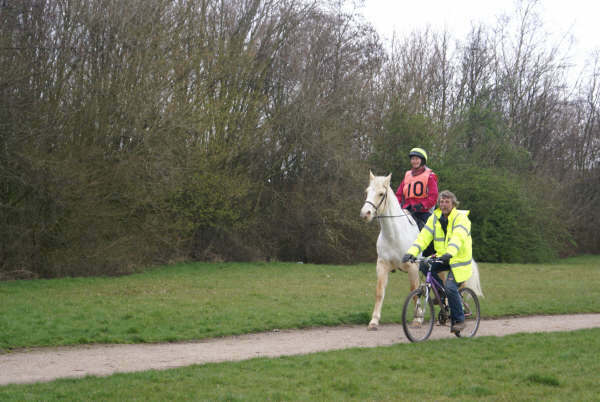 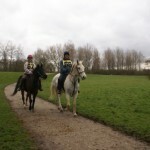 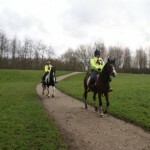 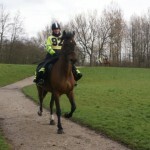 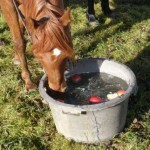 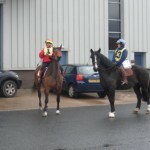 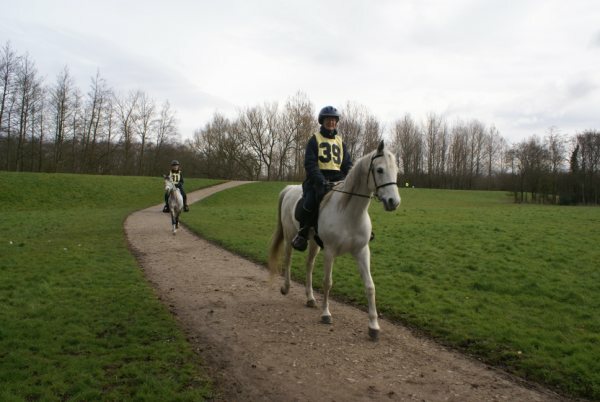 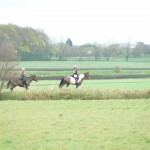 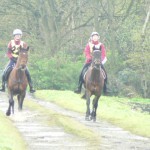 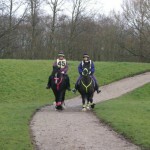 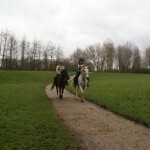 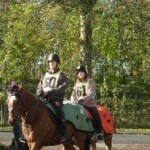 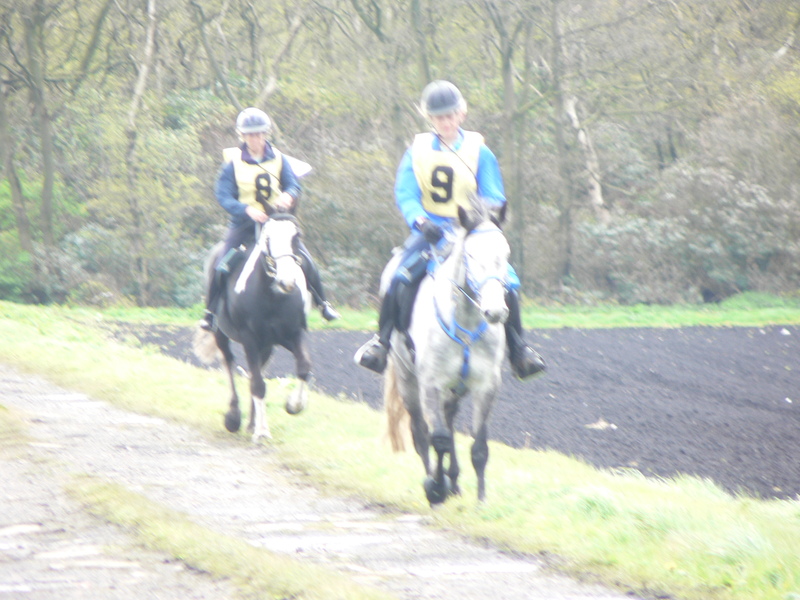 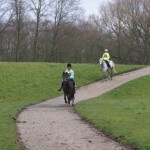 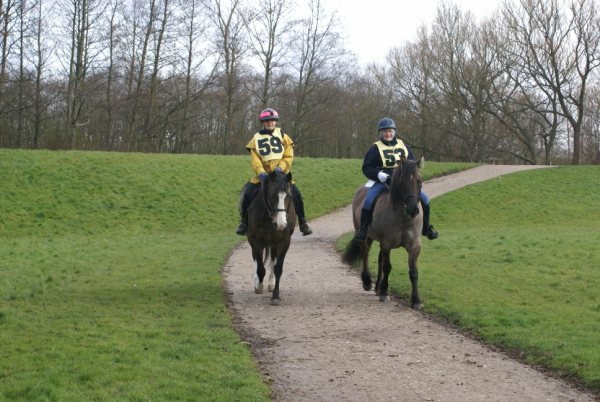 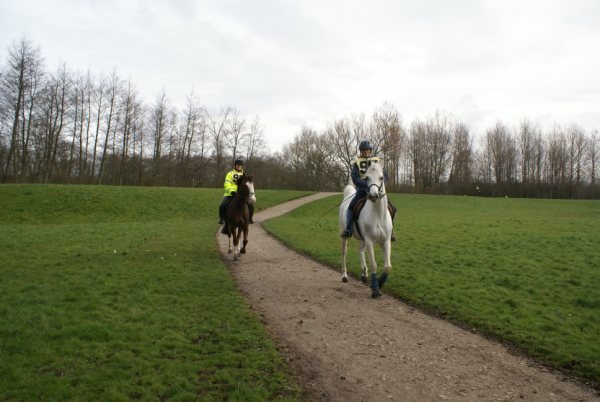 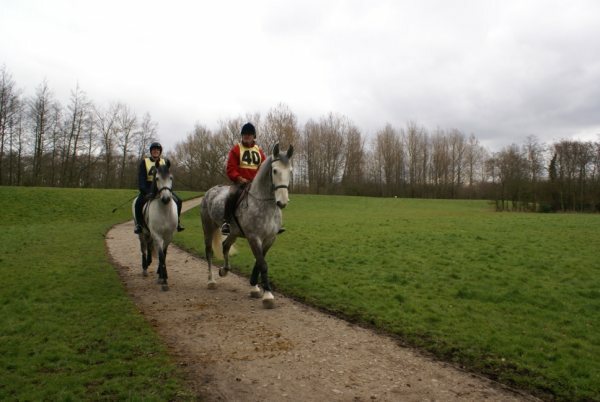 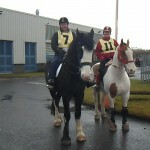 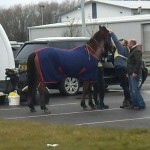 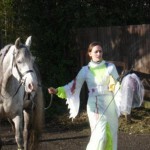 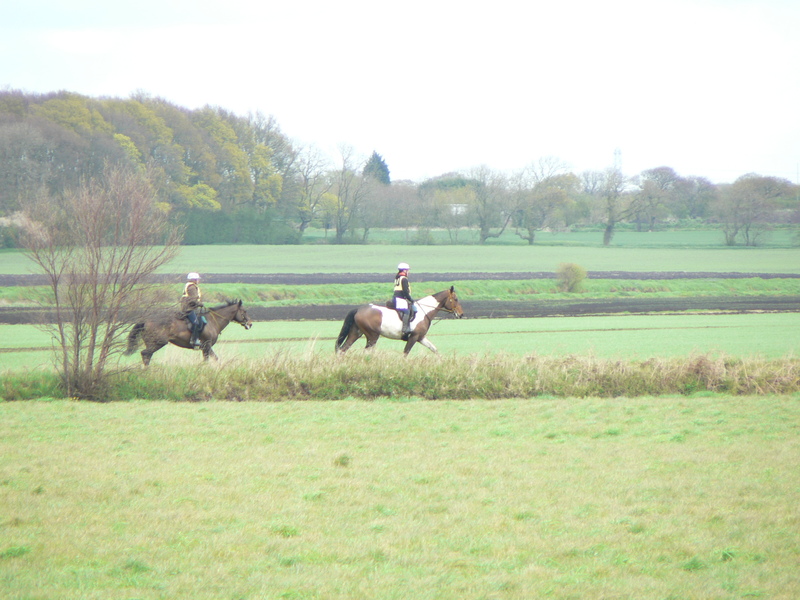 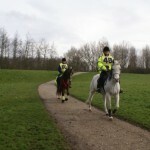 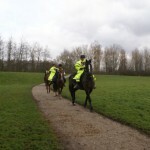 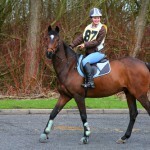 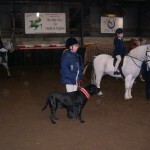 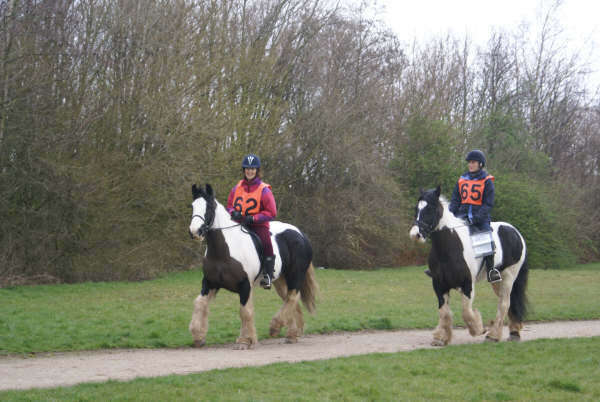 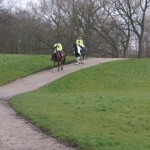 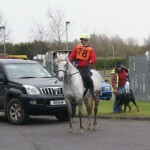 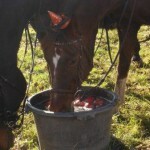 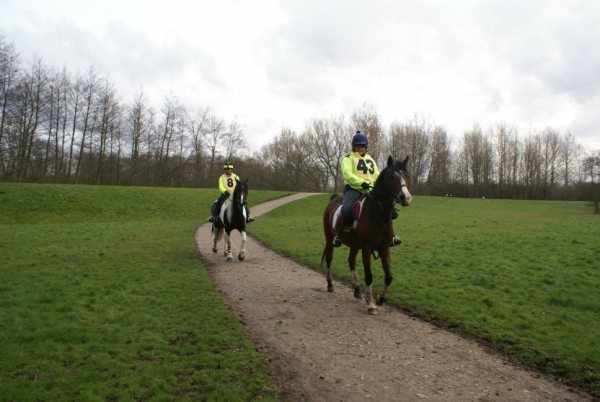 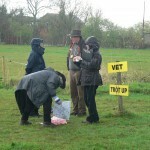 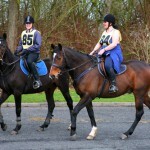 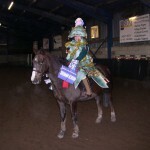 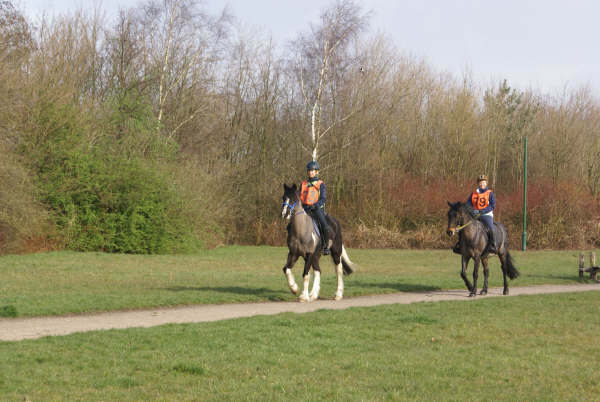 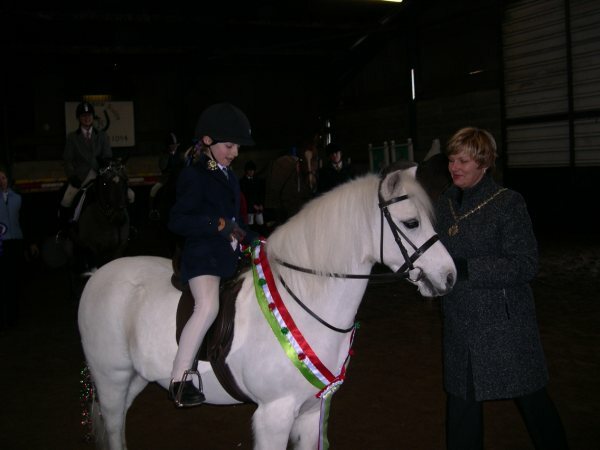 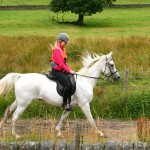 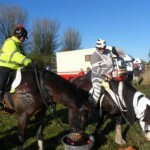 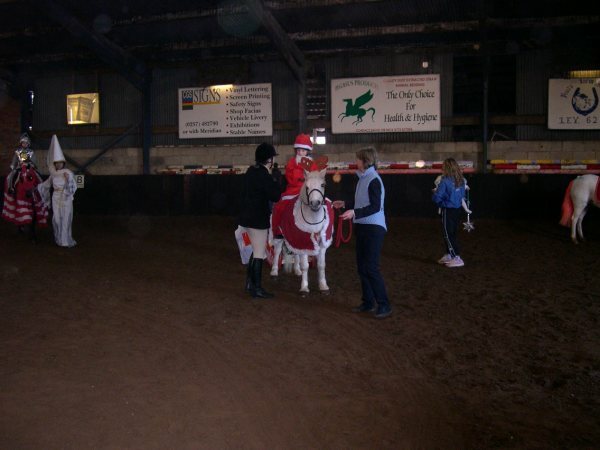 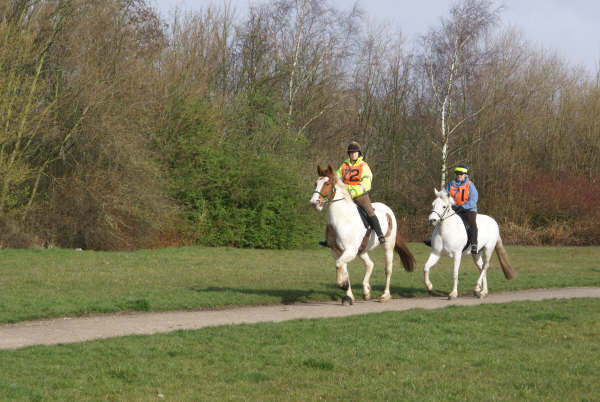 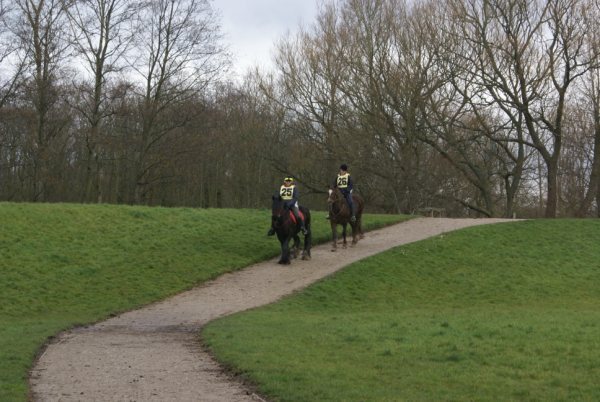 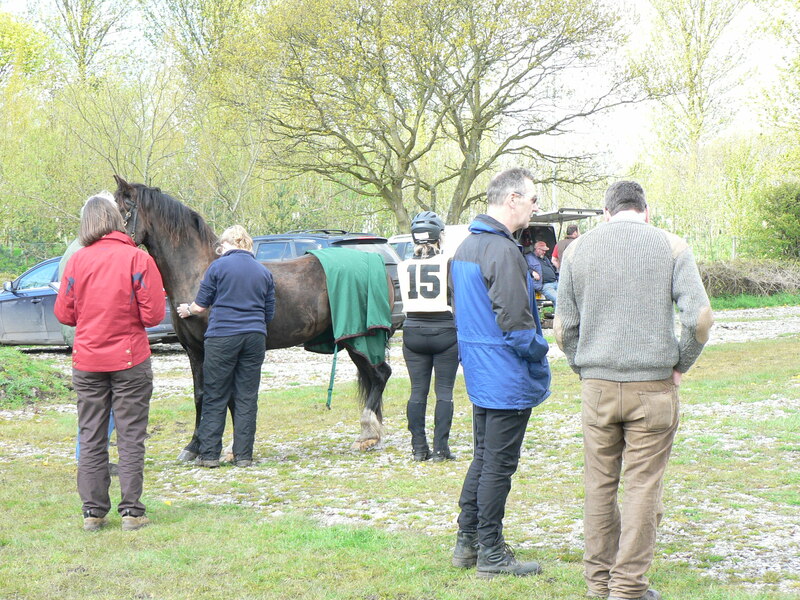 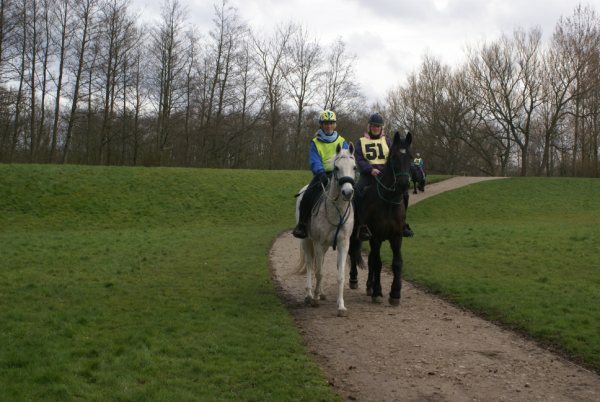 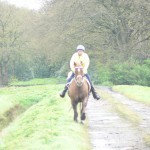 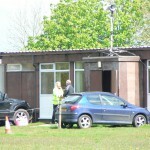 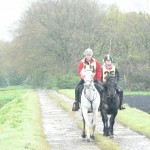 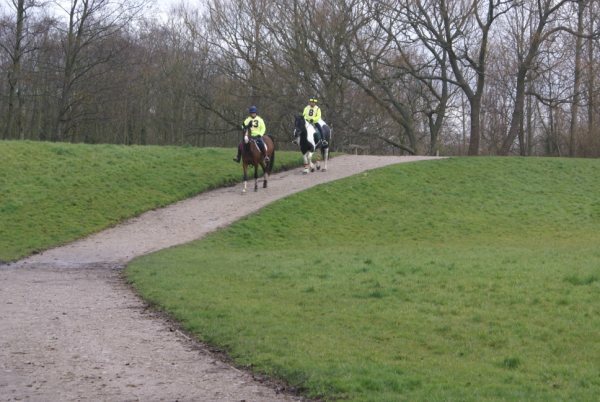 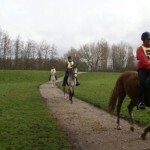 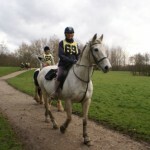 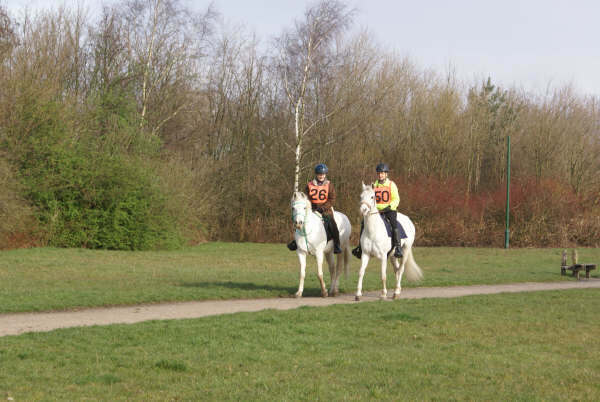 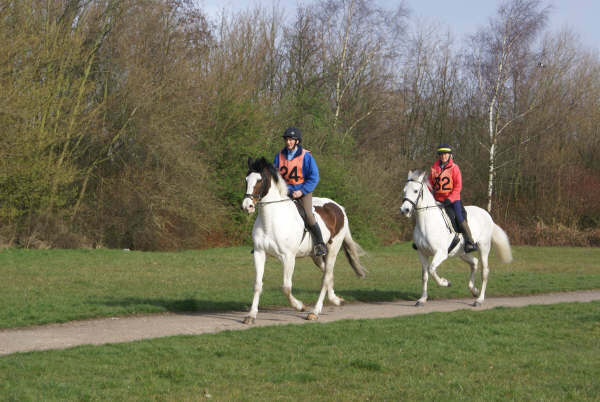 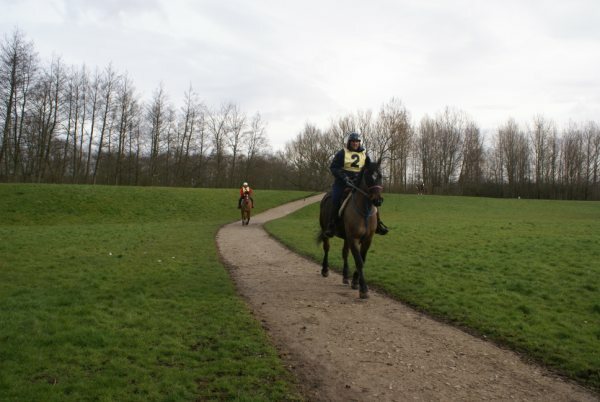 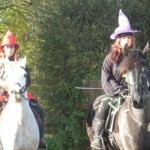 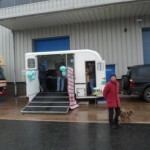 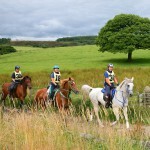 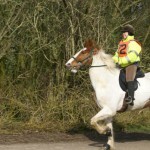 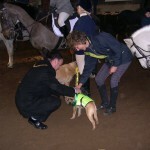 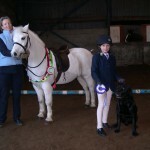 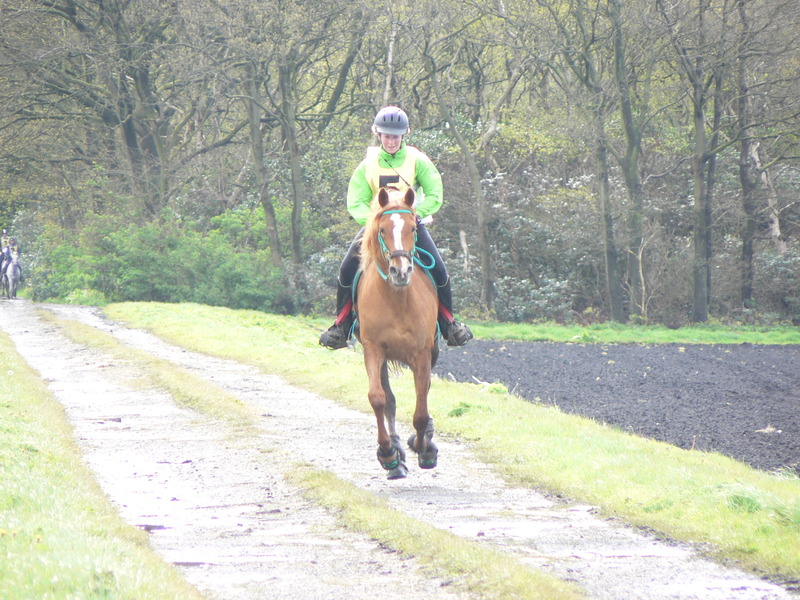 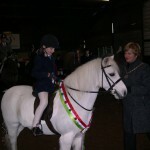 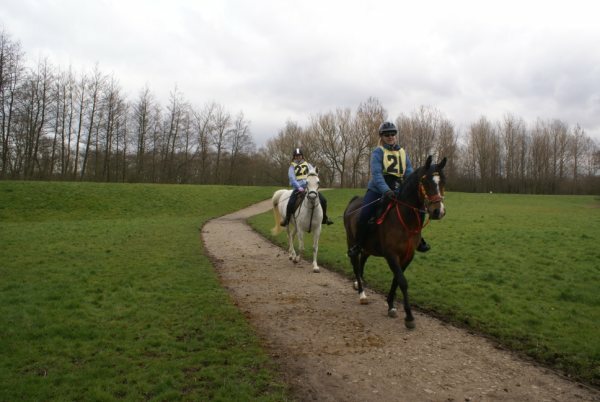 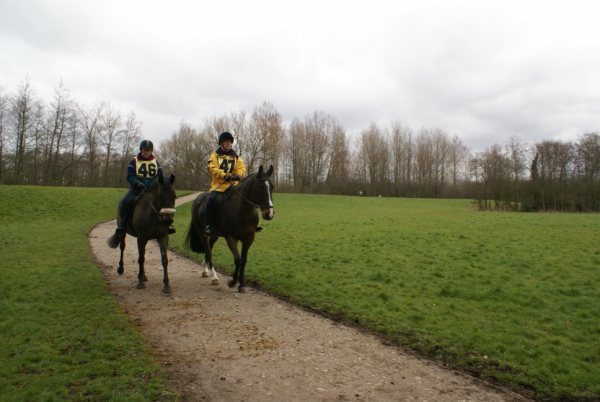 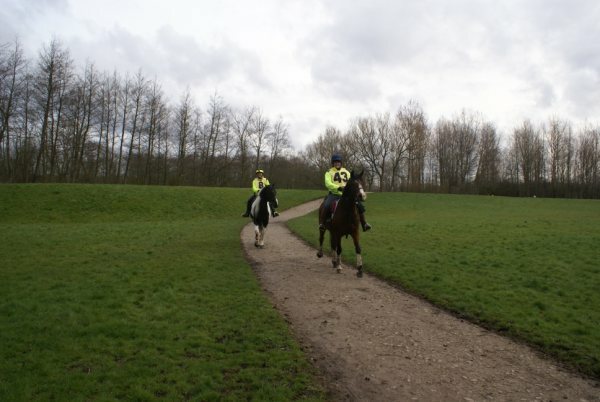 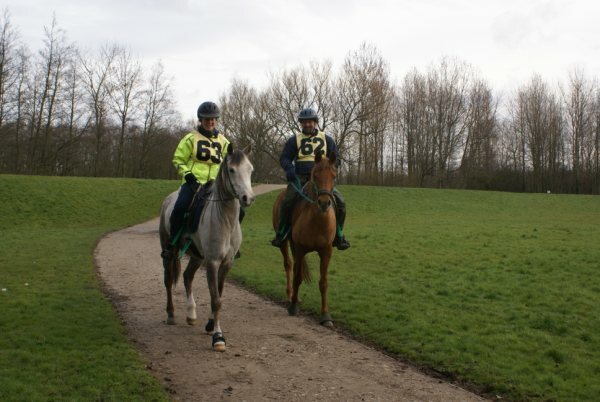 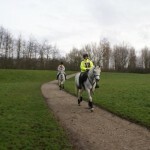 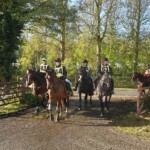 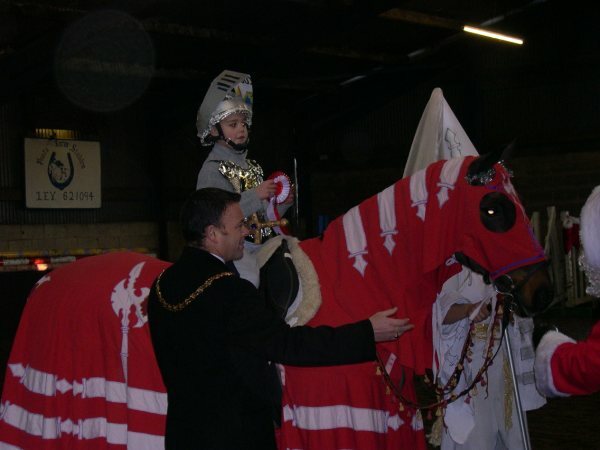 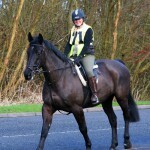 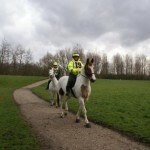 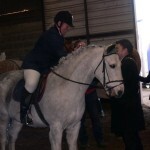 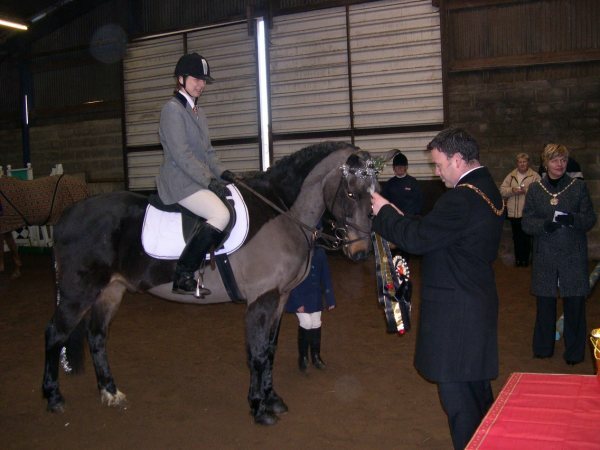 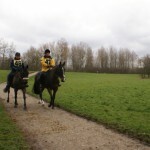 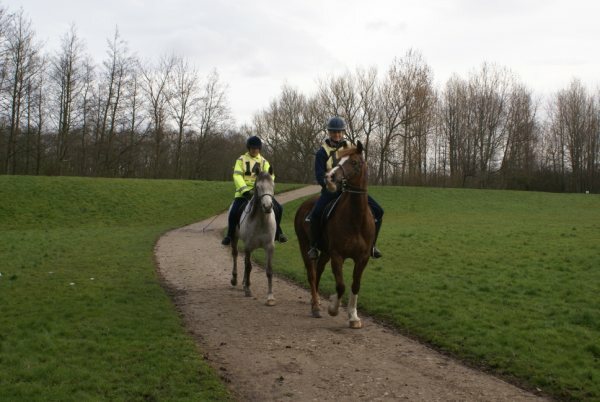 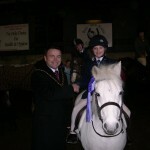 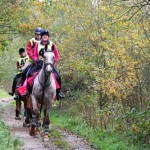 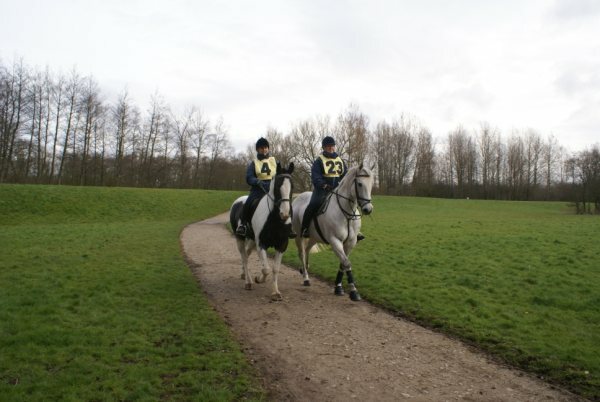 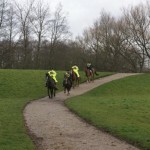 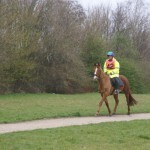 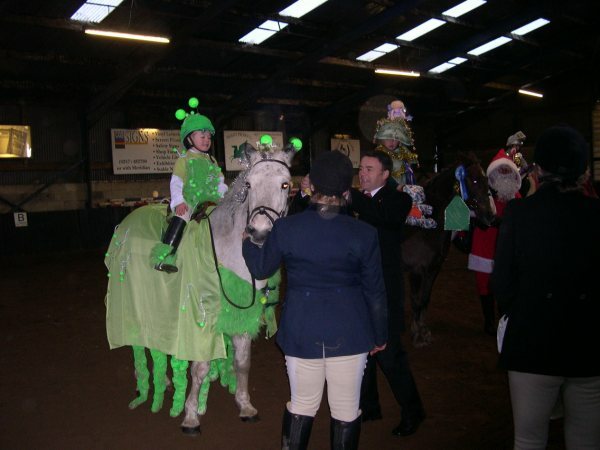 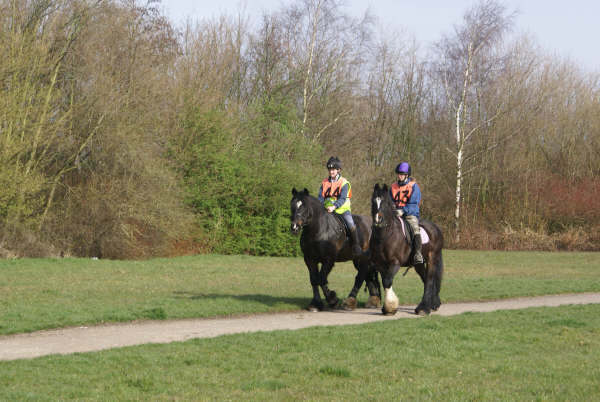 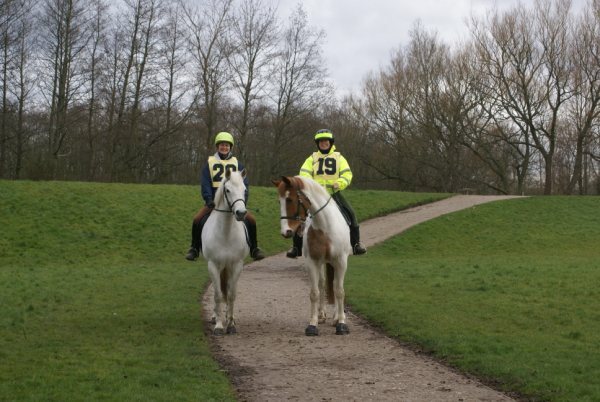 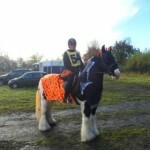 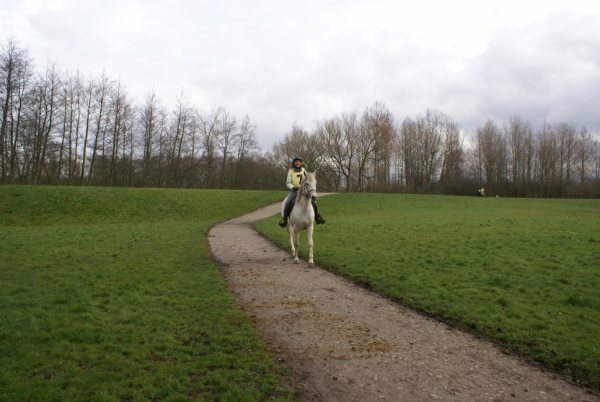 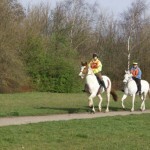 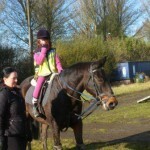 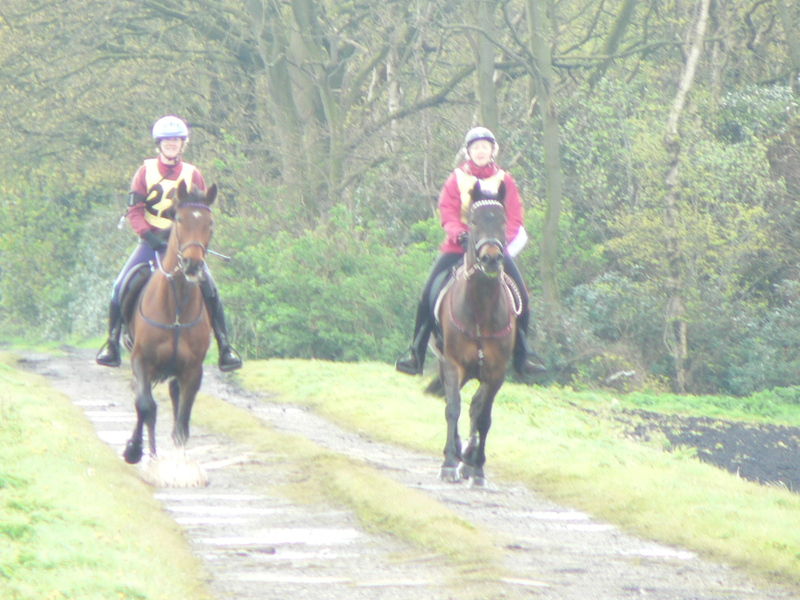 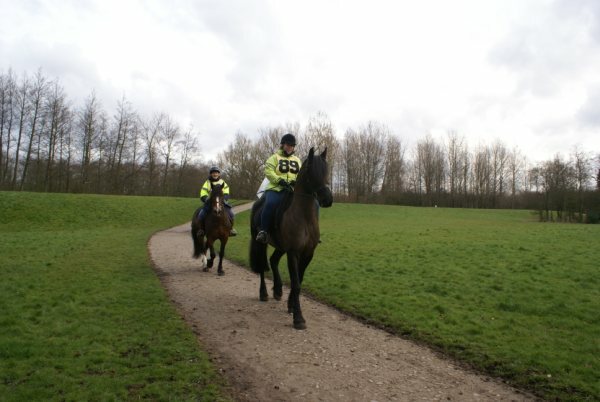 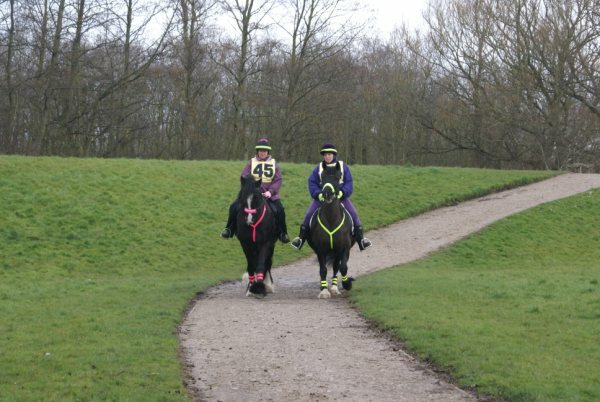 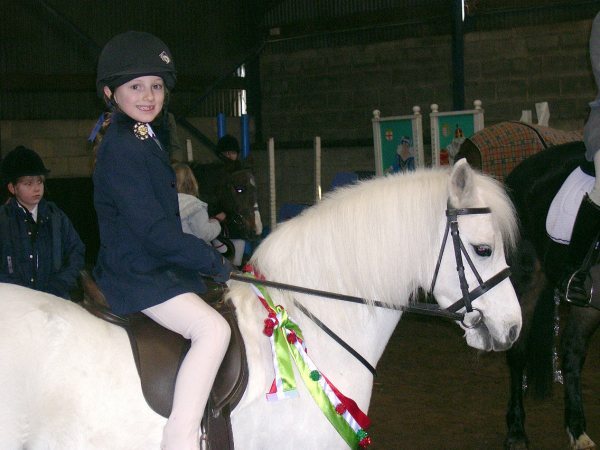 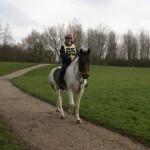 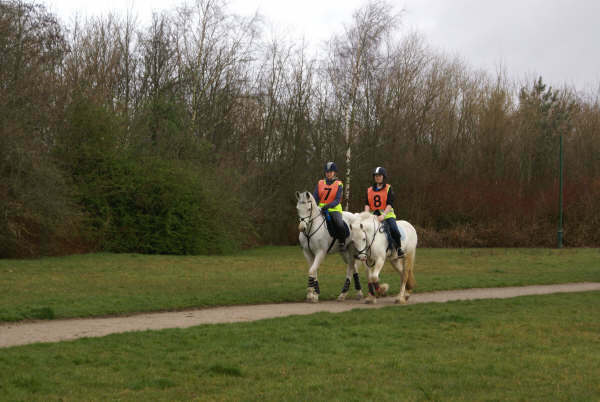 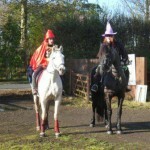 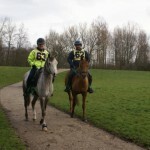 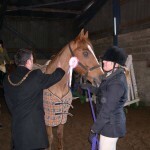 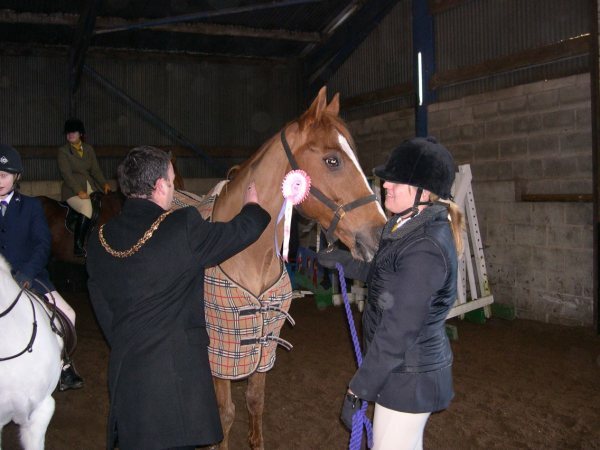 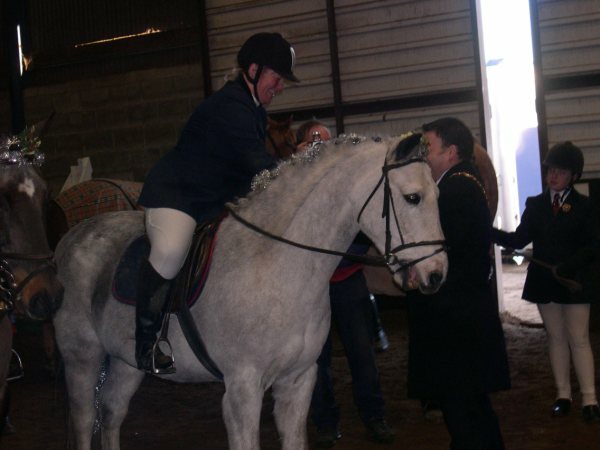 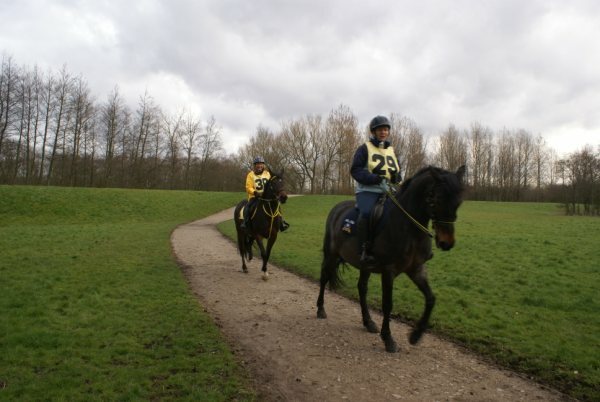 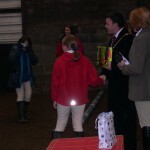 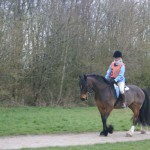 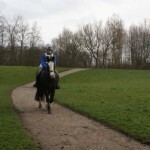 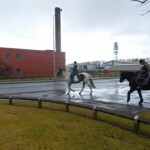 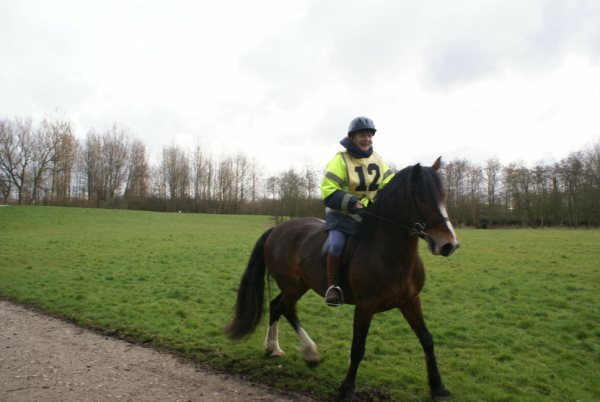 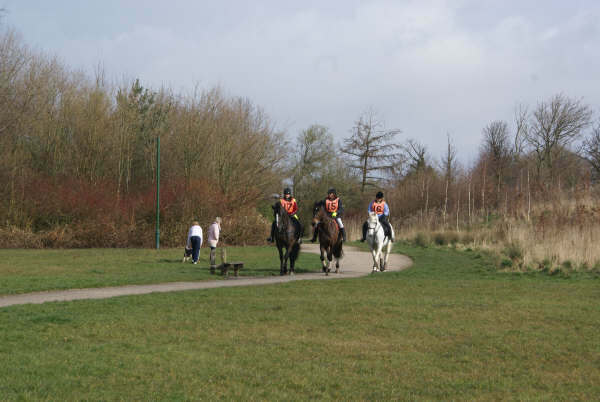 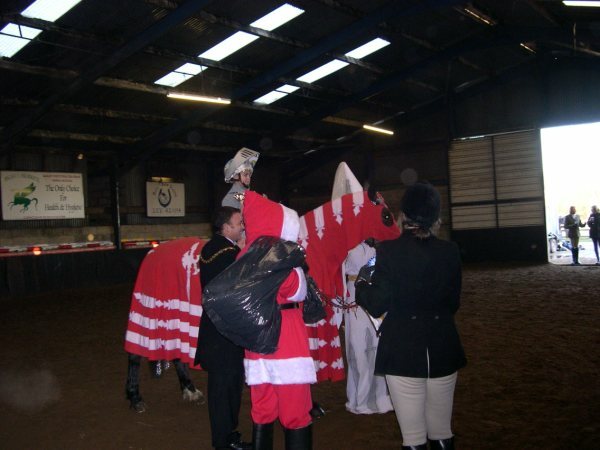 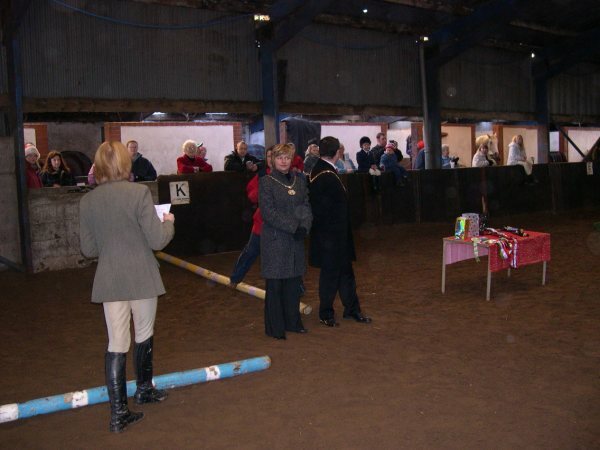 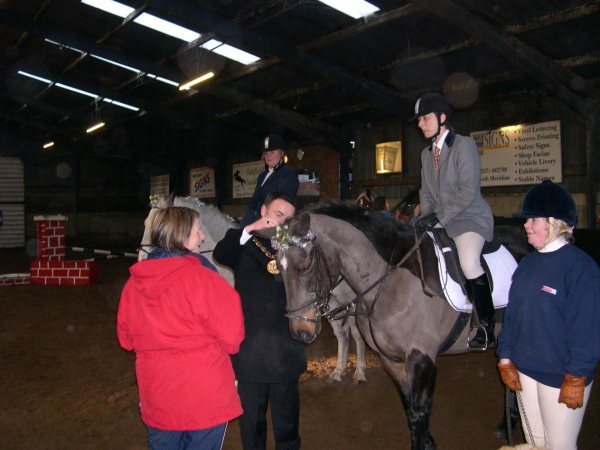 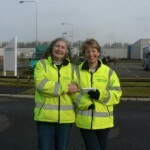 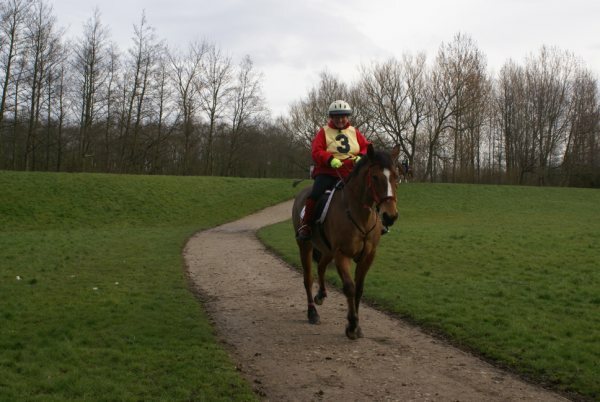 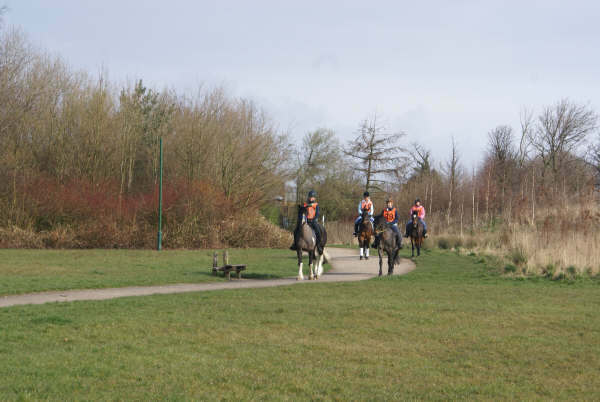 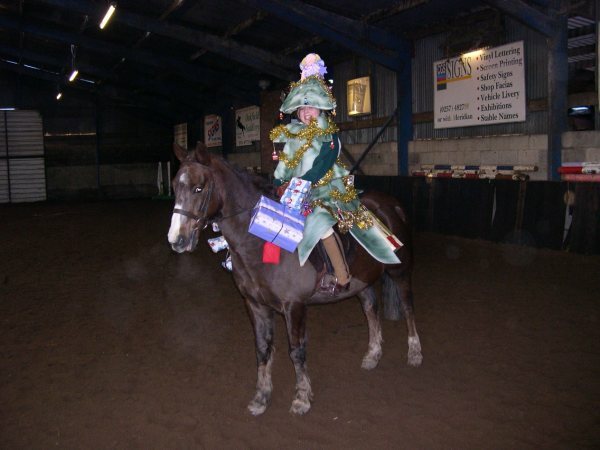 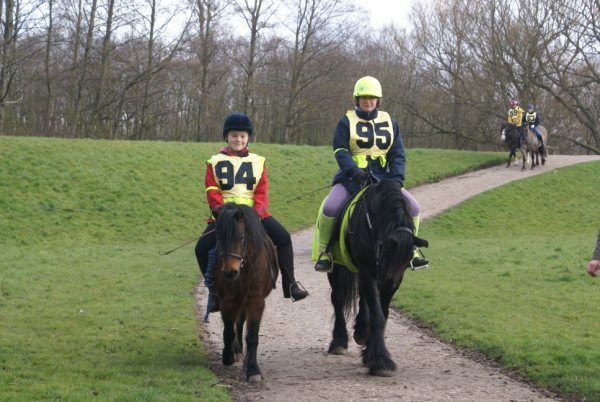 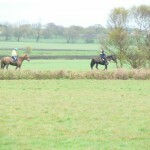 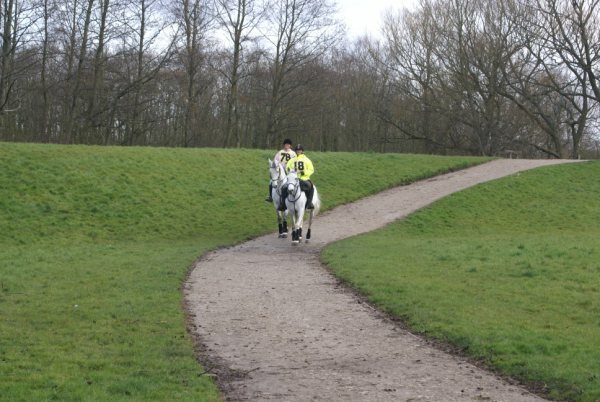 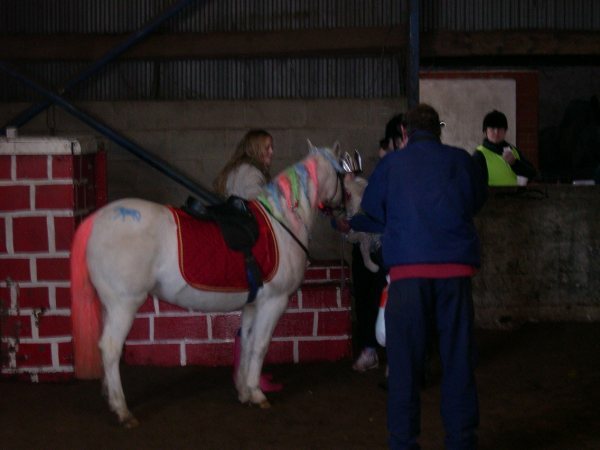 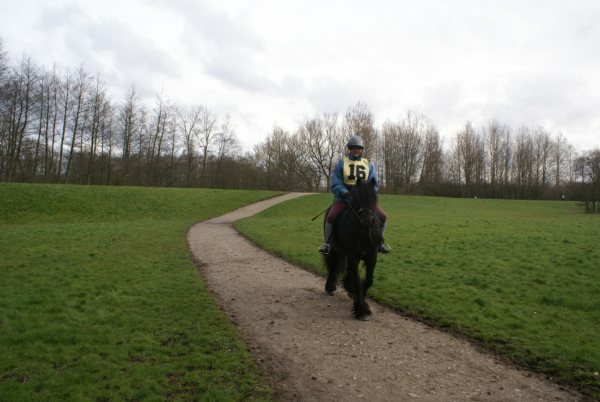 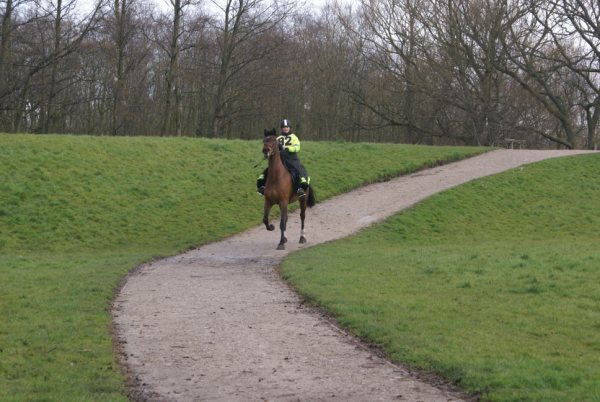 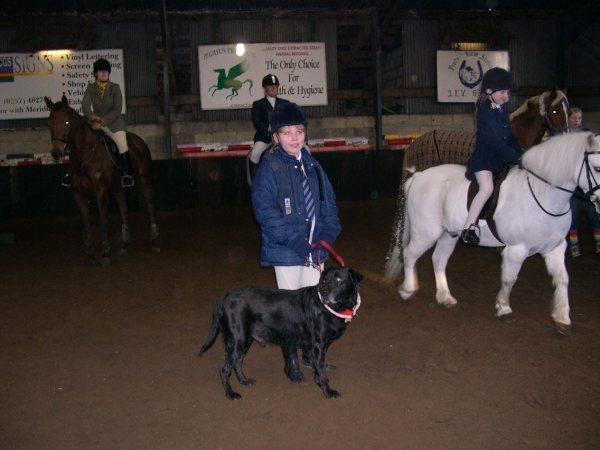 April 22nd Lancashire EGB competition ride. 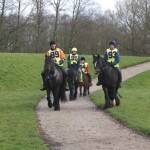 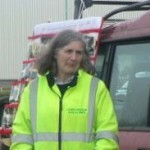 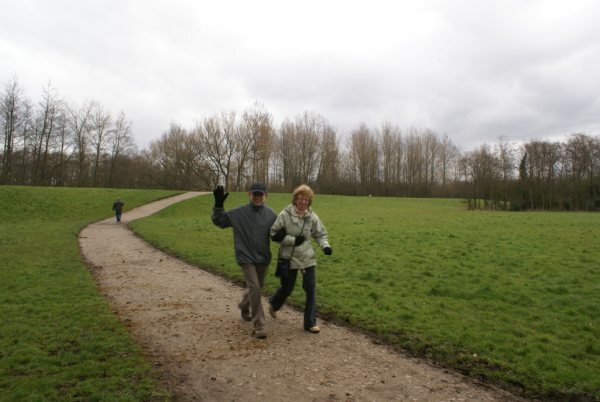 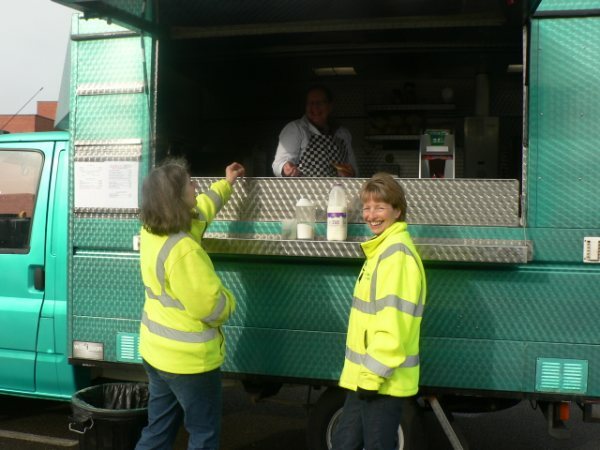 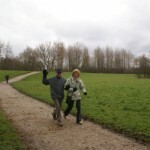 Many thanks for the following positive comments posted on the EGB website. 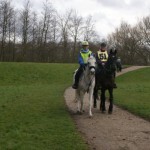 A big thank you to the ride organizers and the team of helpers who put this ride on my first time but will not be the last. 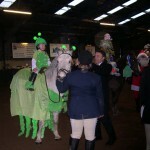 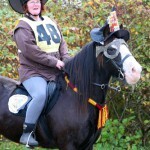 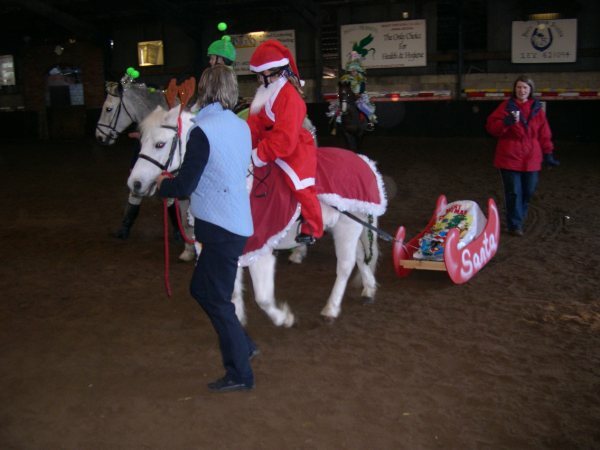 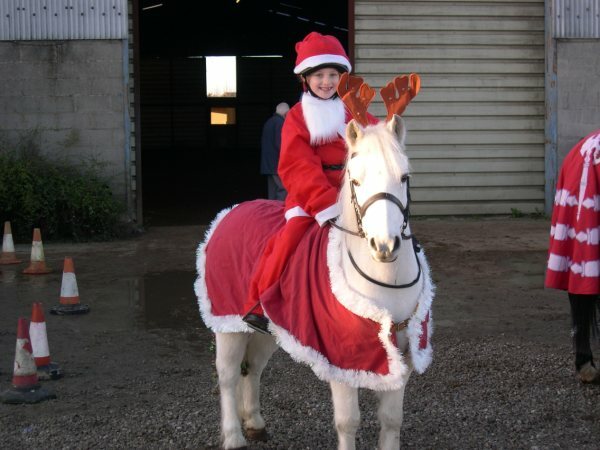 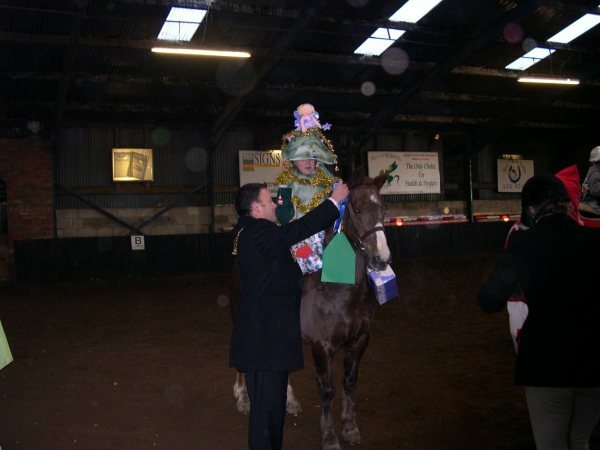 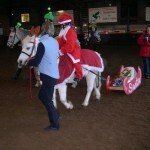 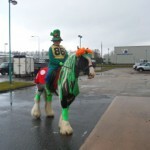 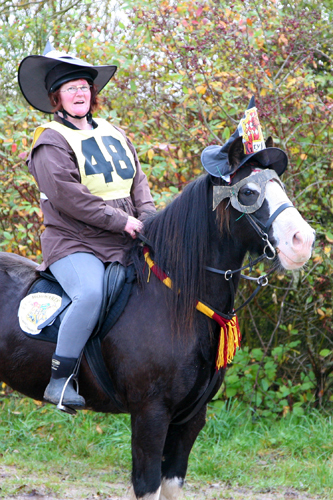 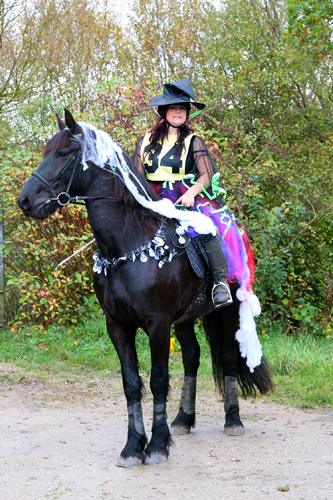 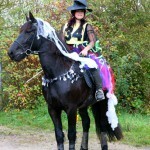 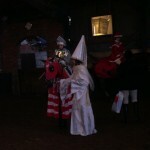 You hear so many people complain about manners at rides, I rode my very young horse at this ride today (number50) and every rider who I met were so considerate asking to pass and passing slowly then they saw his green tail ribbon,.even the riders coming towards me so could not see the ribbon slowed down when they saw his head lift and nostrils flare. 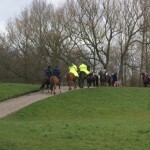 Hope everyone had a great ride it was a pleasure to be there. 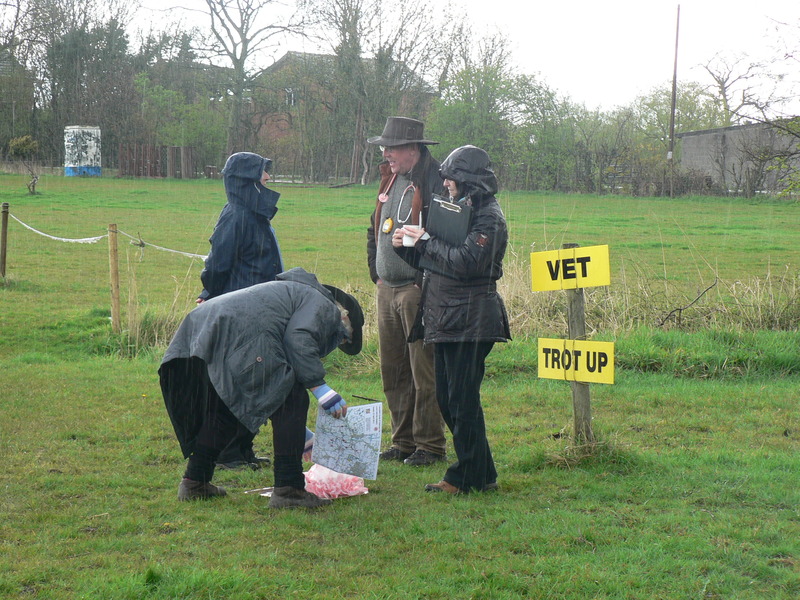 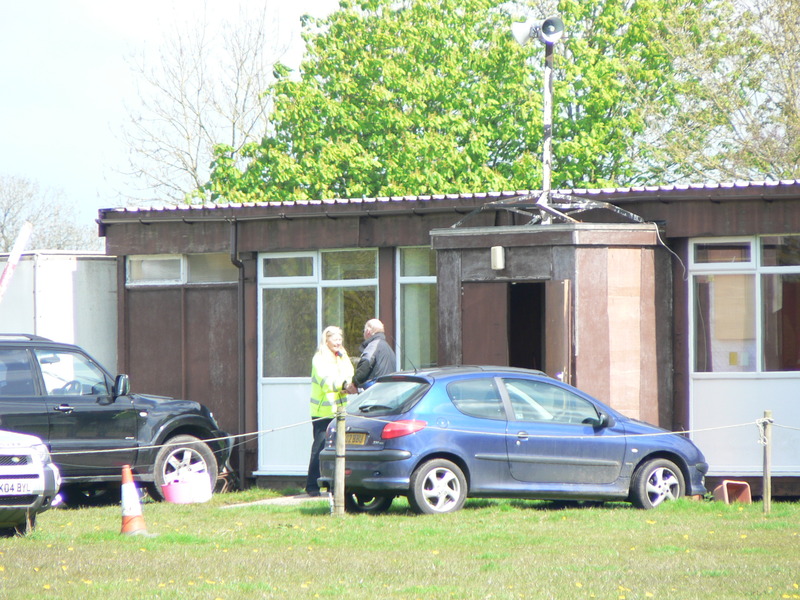 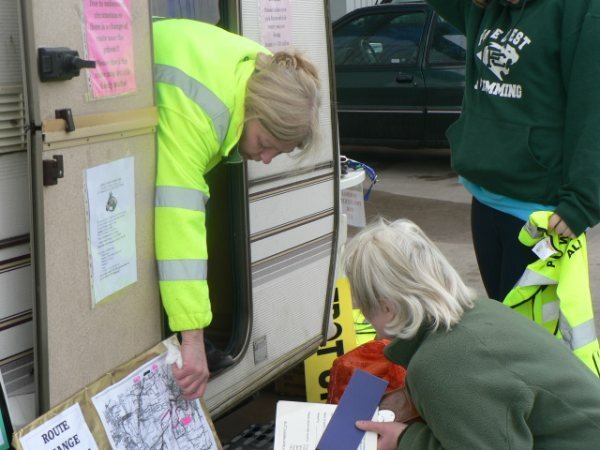 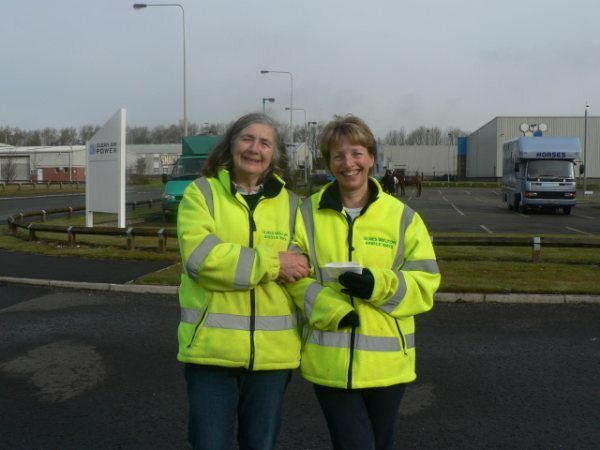 Thanks to all the organisers – excellent marking, especially given the weather conditions over the last few days – & loads of cheery officials! 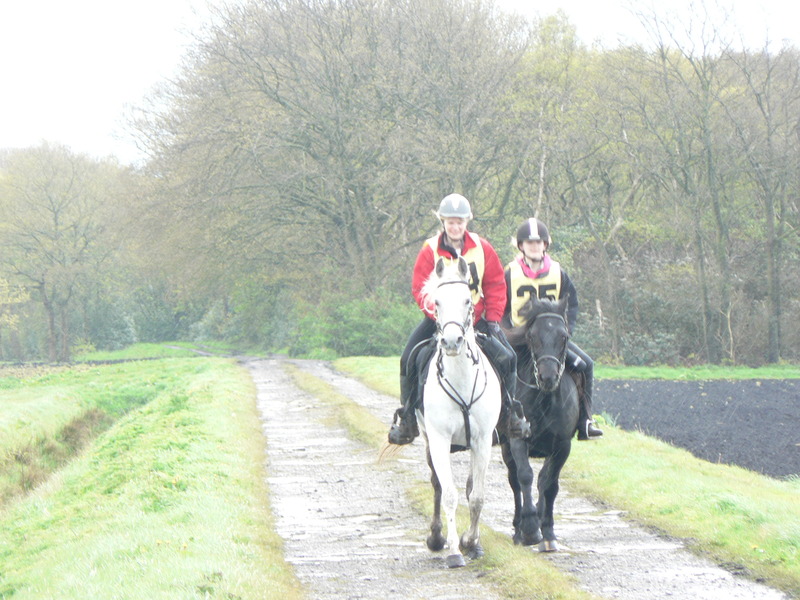 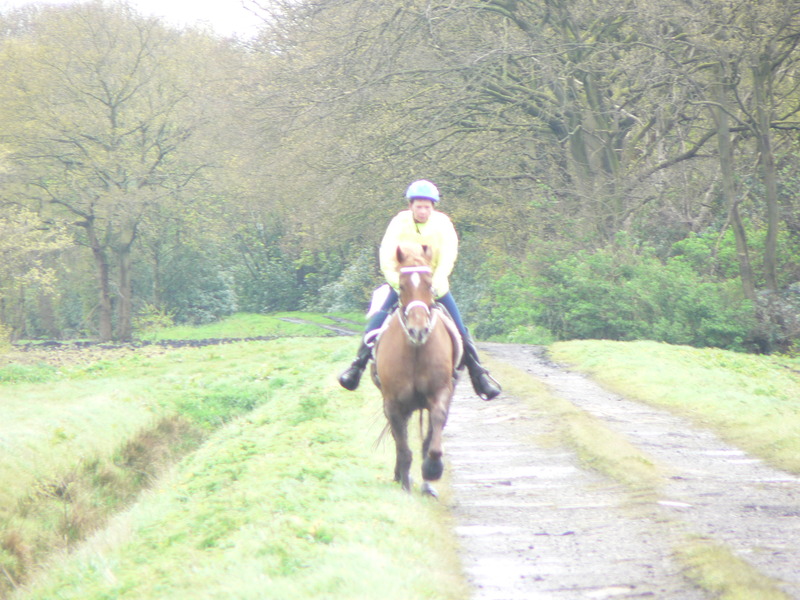 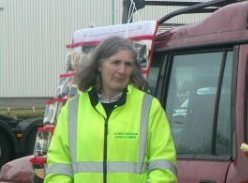 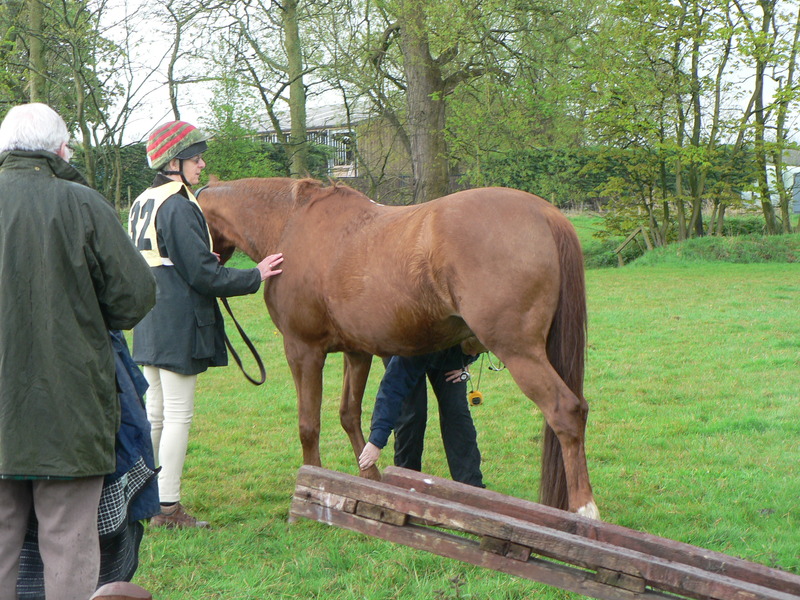 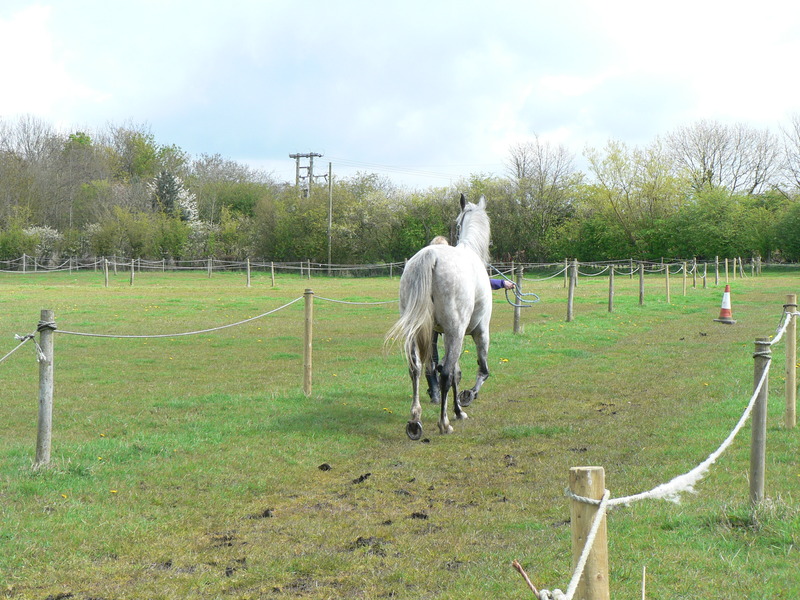 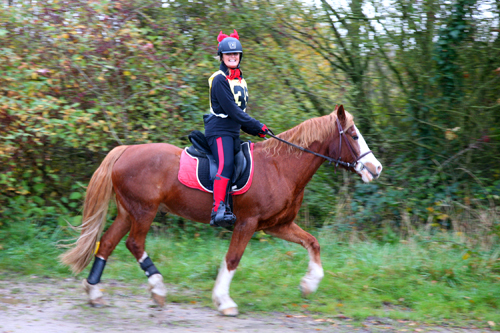 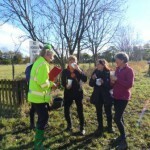 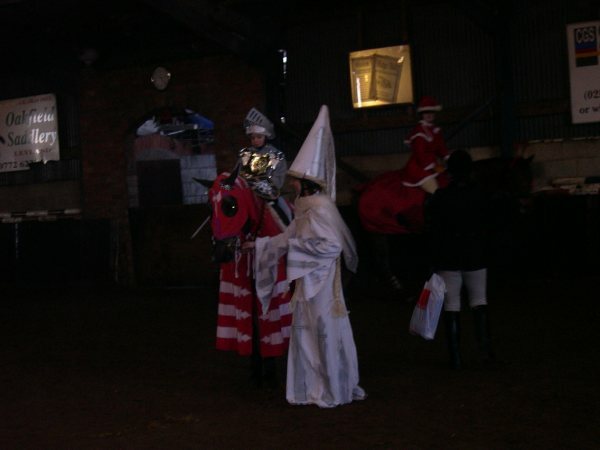 Even the weather co-operated – who would have thought I could have ridden both days this weekend & not really got wet (except when the pony detoured through a hedge at the sight of the black plastic covered pallet in the village!). 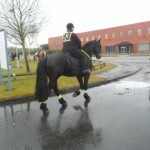 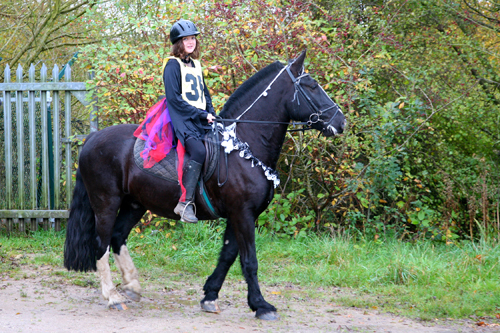 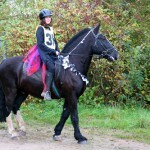 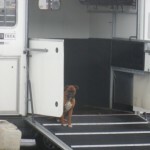 Really nice to have a local ride – the deisel cost less than the entry for once! 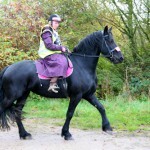 Looking foward to the Heapy Hack in August! 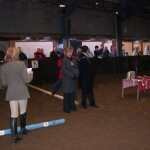 More pictures on www.whatapicture.biz. 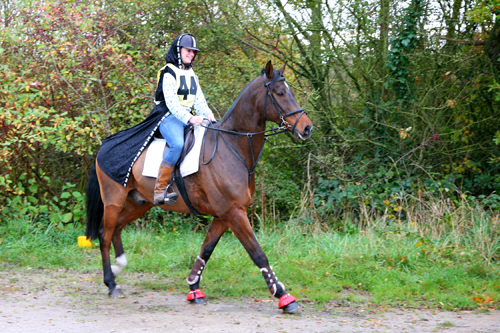 Please support our photographer and order your lovely pictures on line. 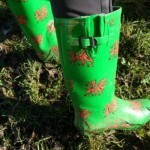 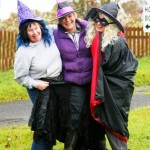 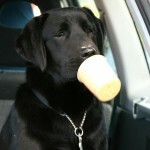 Check out more pictures to view and purchase on www.whatapicture.biz.